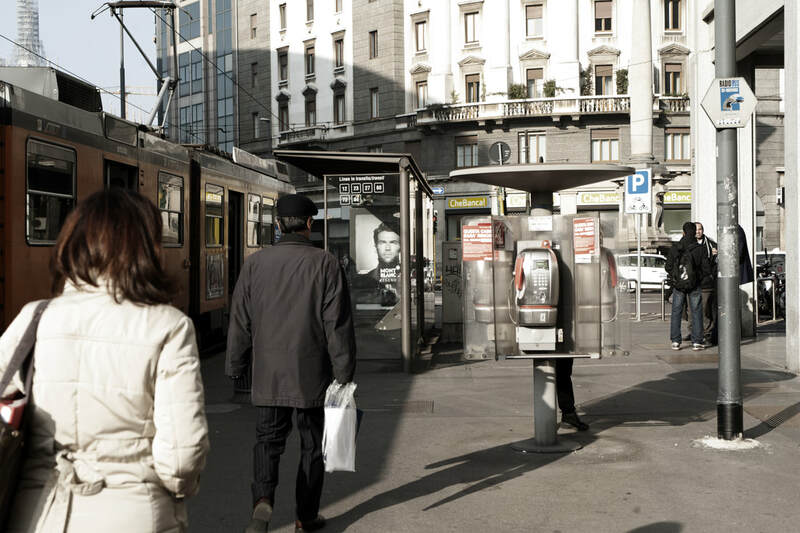 ​Terminal illness is an incurable disease that cannot be adequately treated and is reasonably expected to result in the death of the patient within a short period of time. 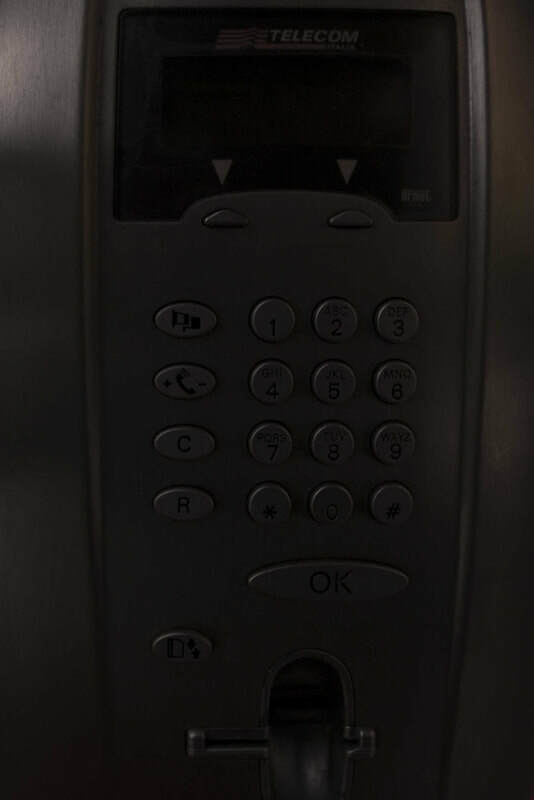 In popular use, it indicates a disease that will soon progress until death with near absolute certainty, regardless of treatment. 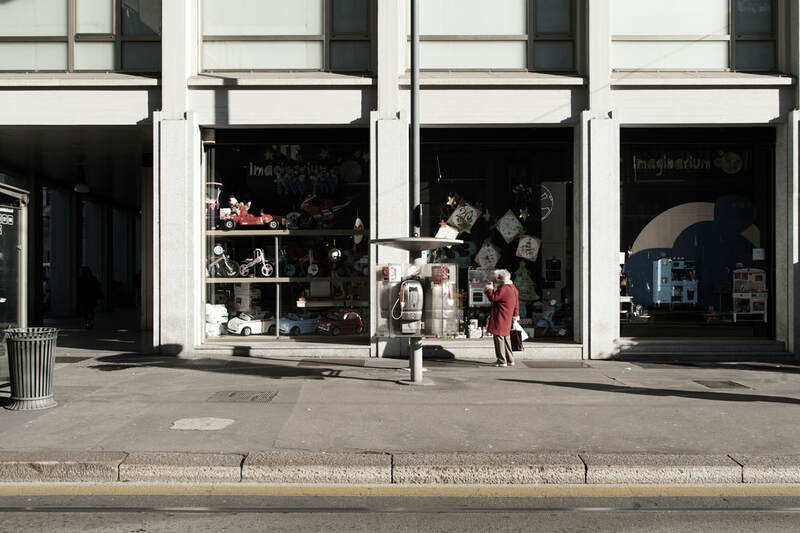 A patient who has such an illness may be referred to as a terminal patient, terminally ill or simply terminal. 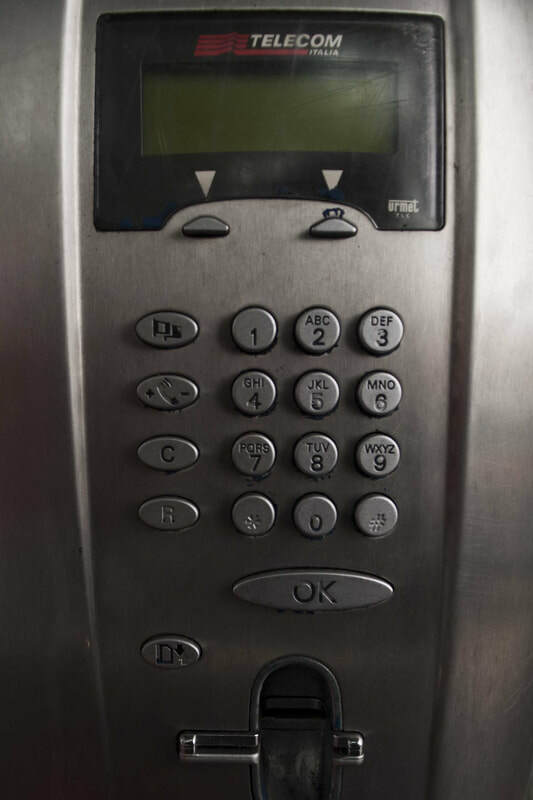 There is no standardized life expectancy for a patient to be considered terminal, although it is generally months or less. 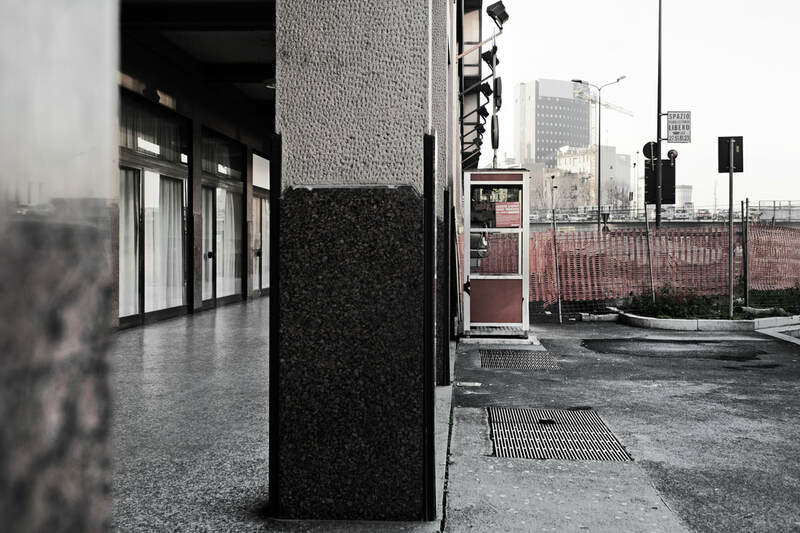 Life expectancy for terminal patients is a rough estimate given by the physician based on previous data and does not always reflect true longevity. 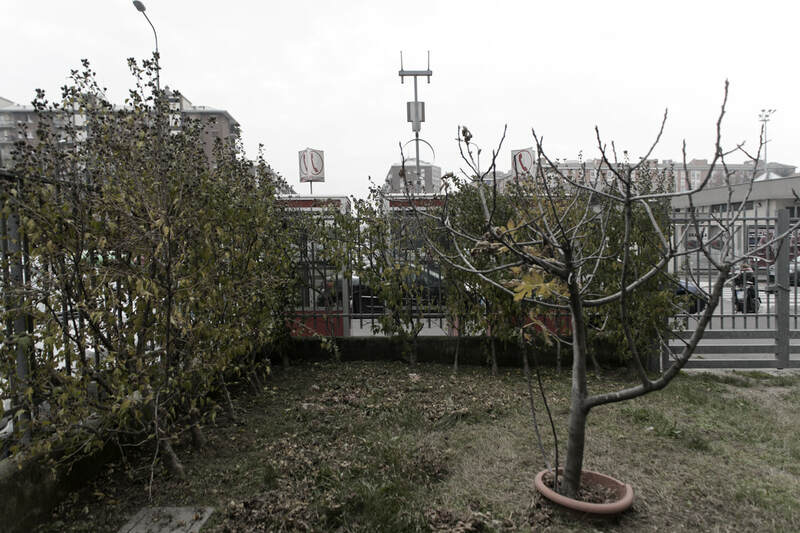 There is no certain date for death since the terminal disease gets diagnosed. 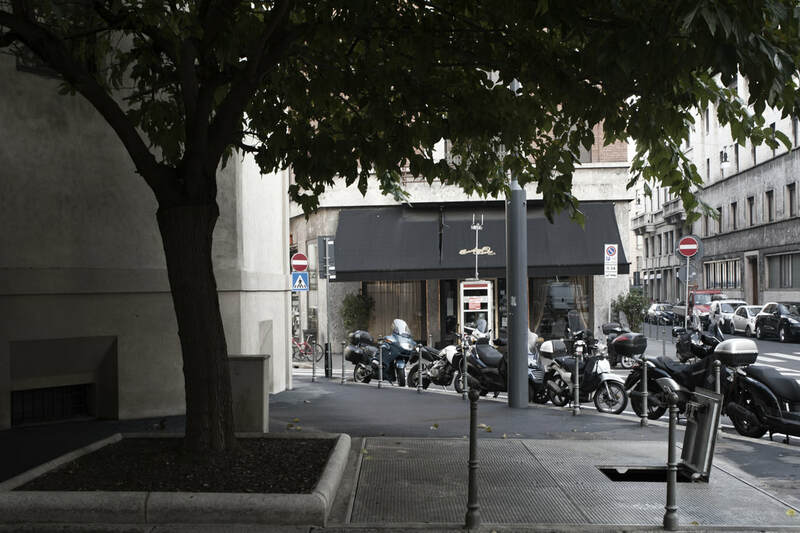 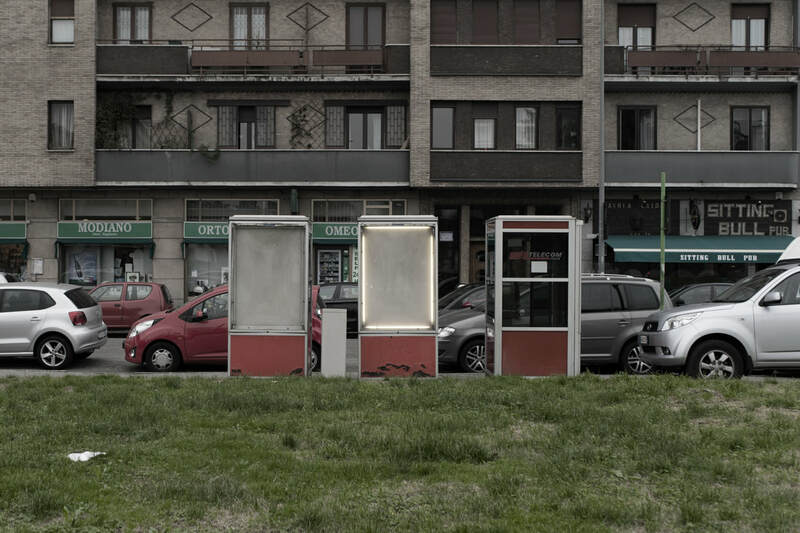 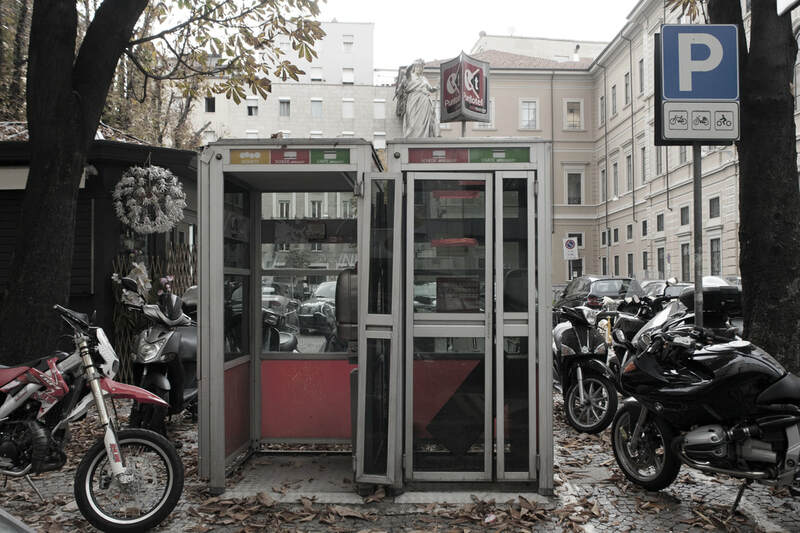 The first telephone booth's installation in Italy happened on the 10th February 1952 in Piazza San Babila, Milan and afterwards approx. 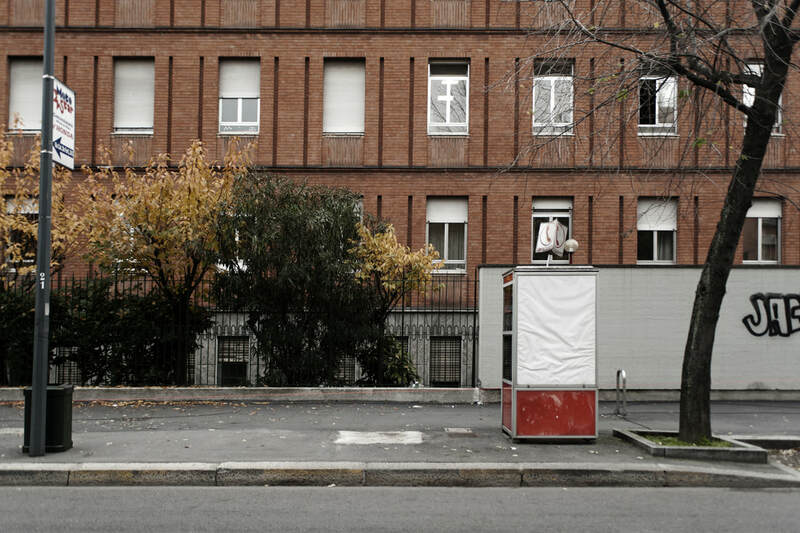 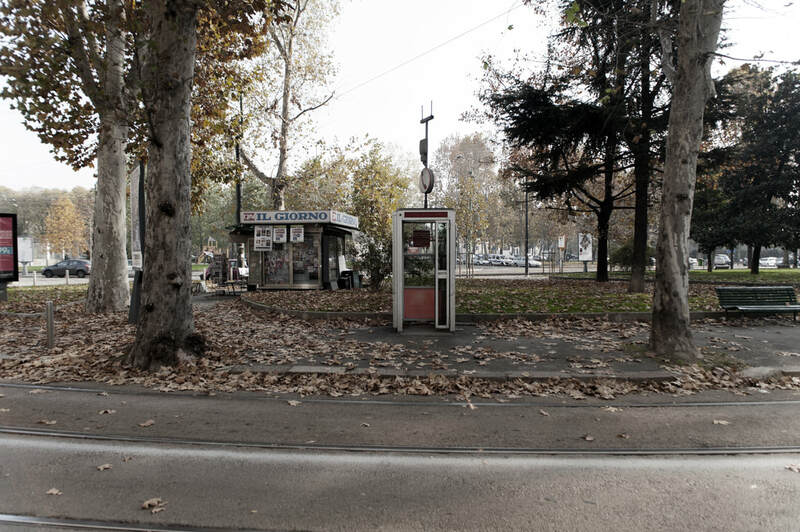 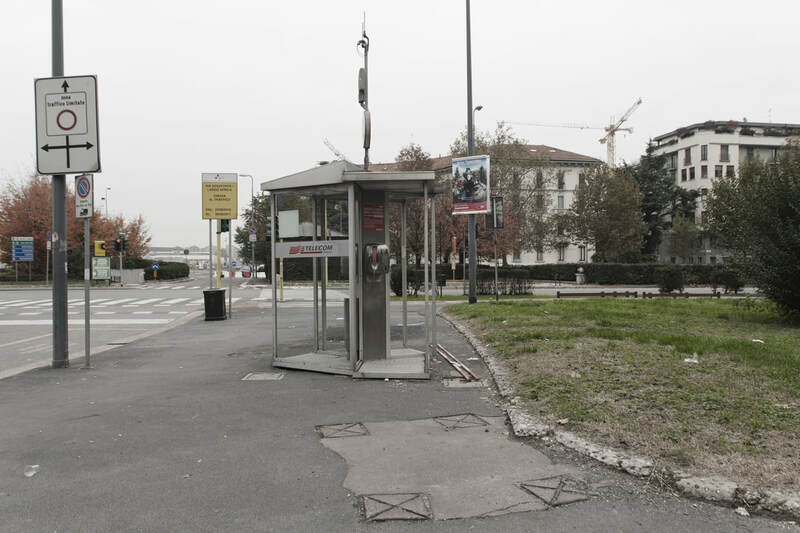 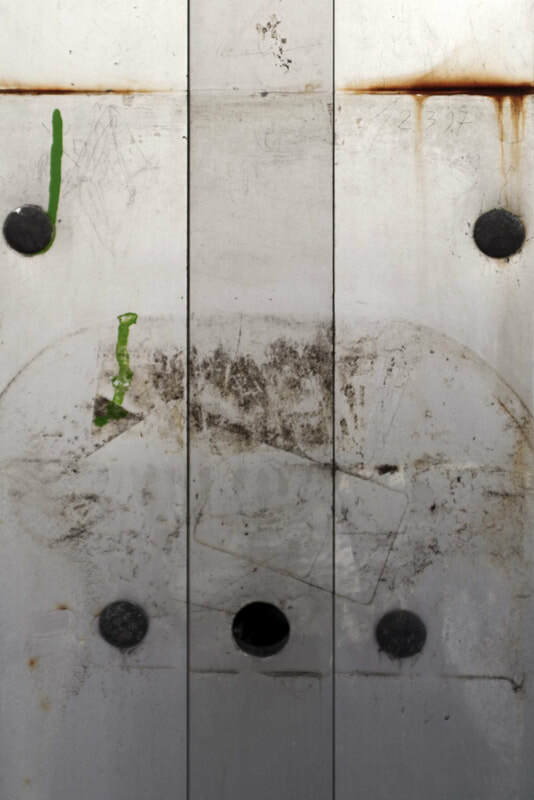 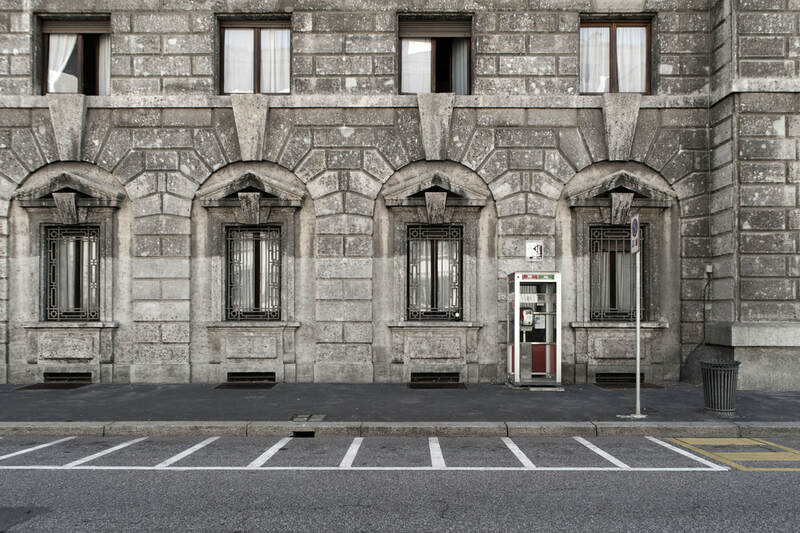 103,000 telephone booths were located throughout the Italian territory. 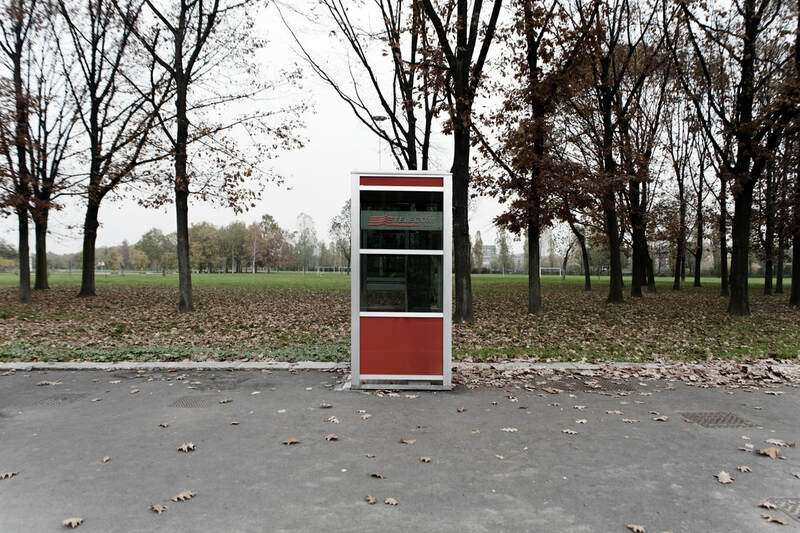 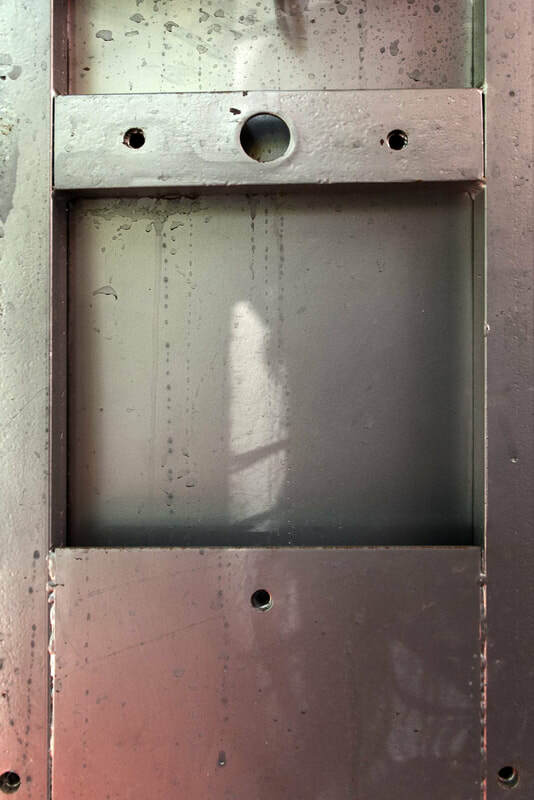 At the beginning of the 2000s, with the advent of cellphones, the telephone booths began to be less popular and useful. 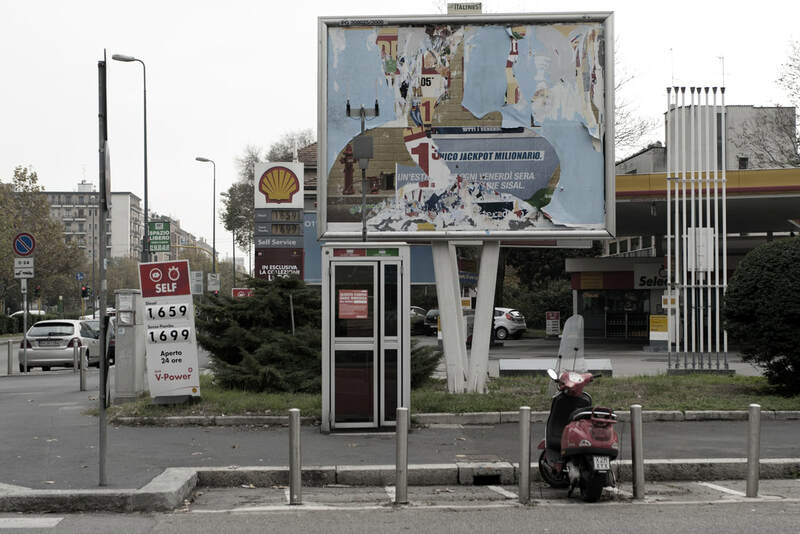 In 2010 the Agcom's sanction no. 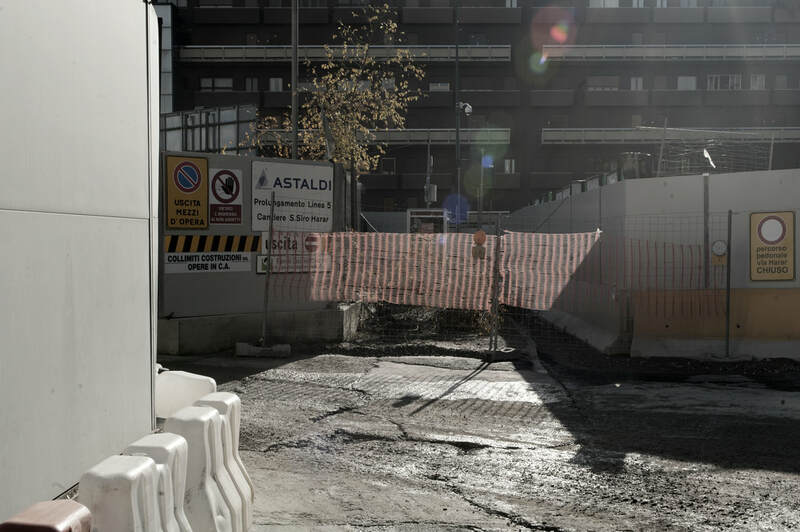 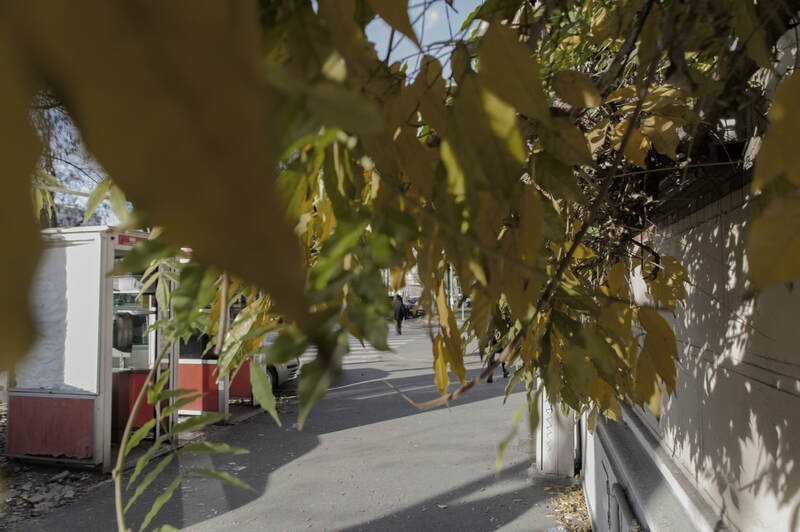 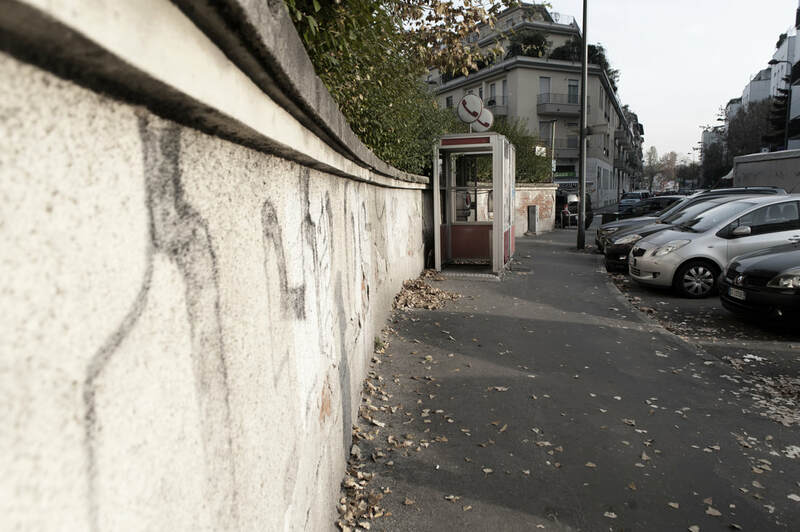 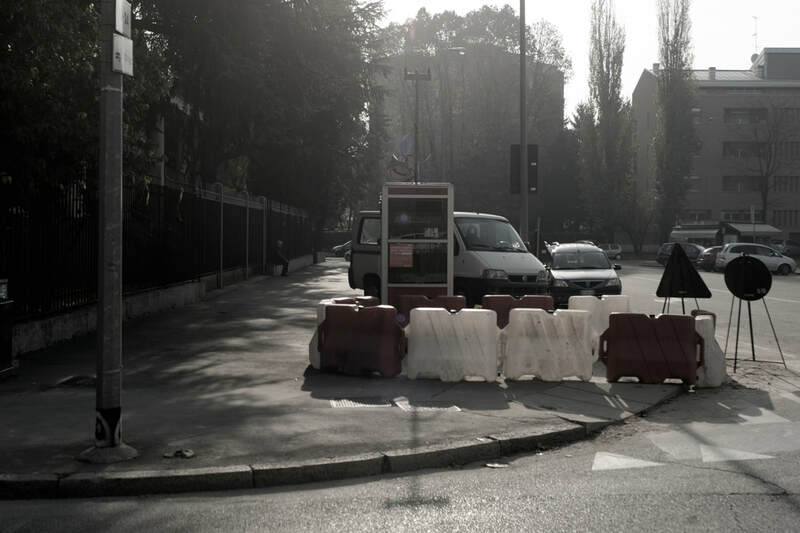 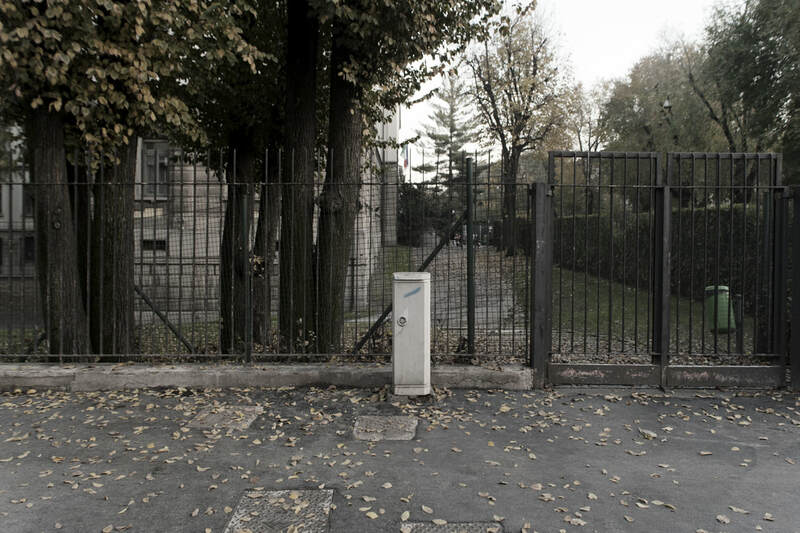 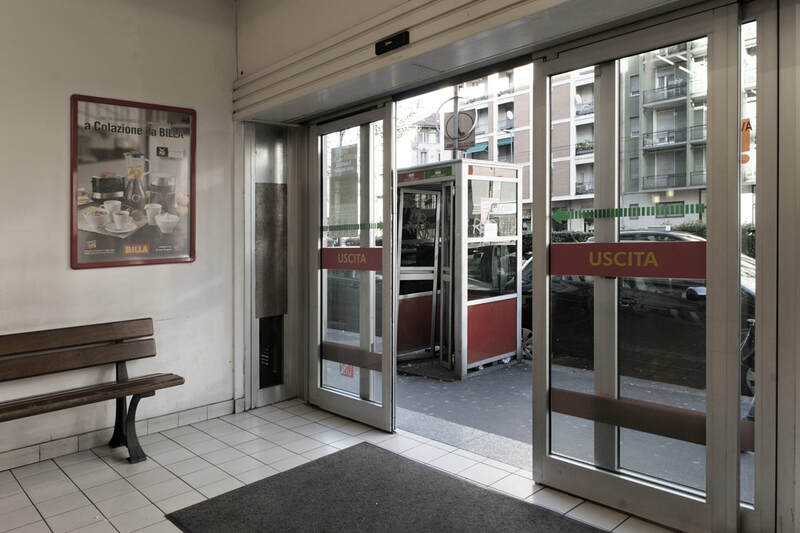 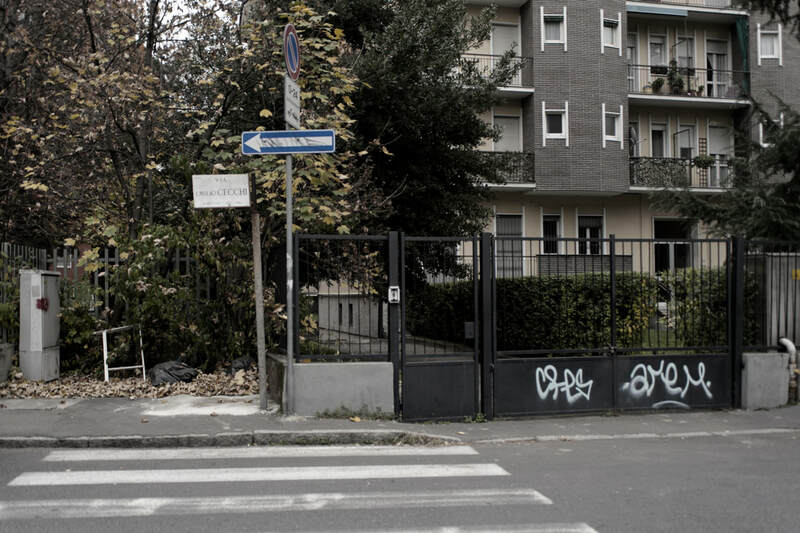 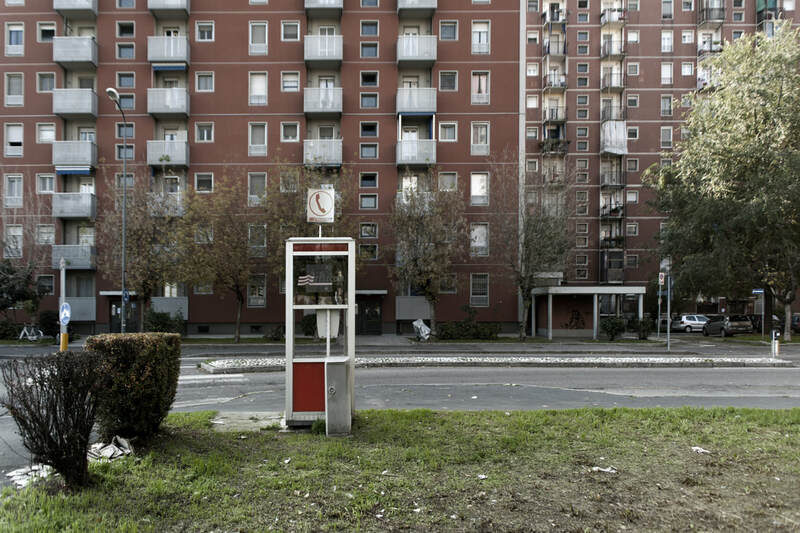 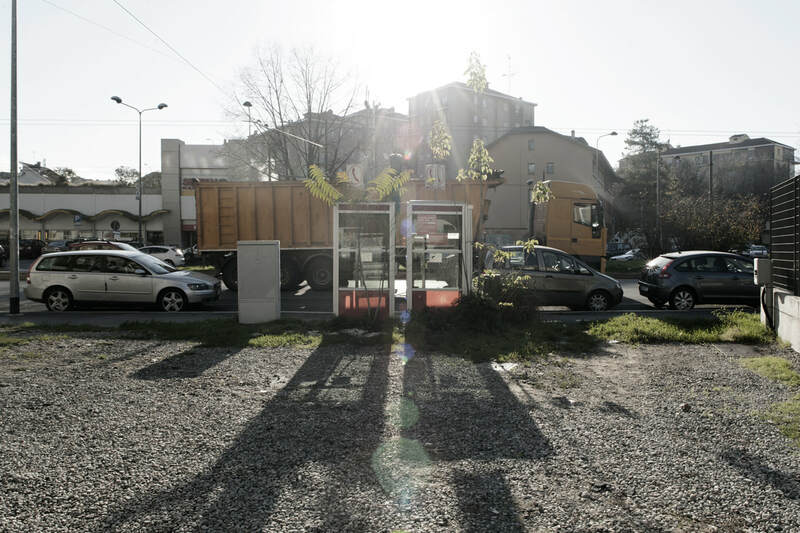 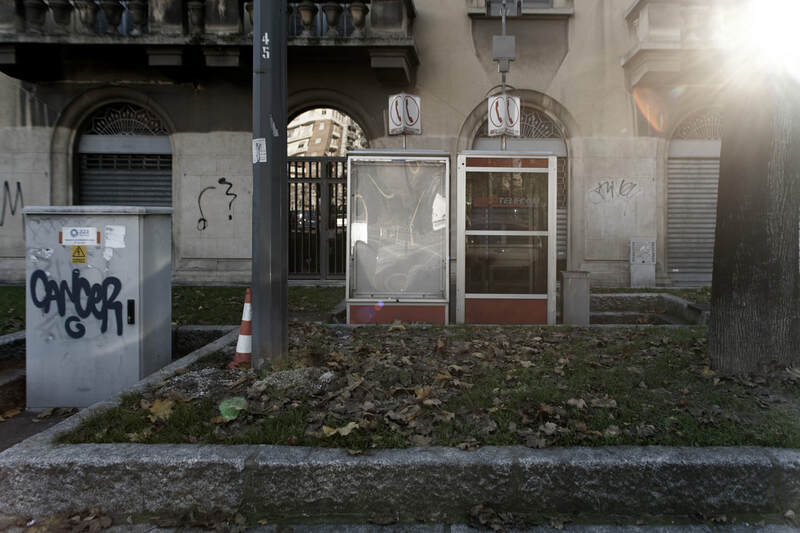 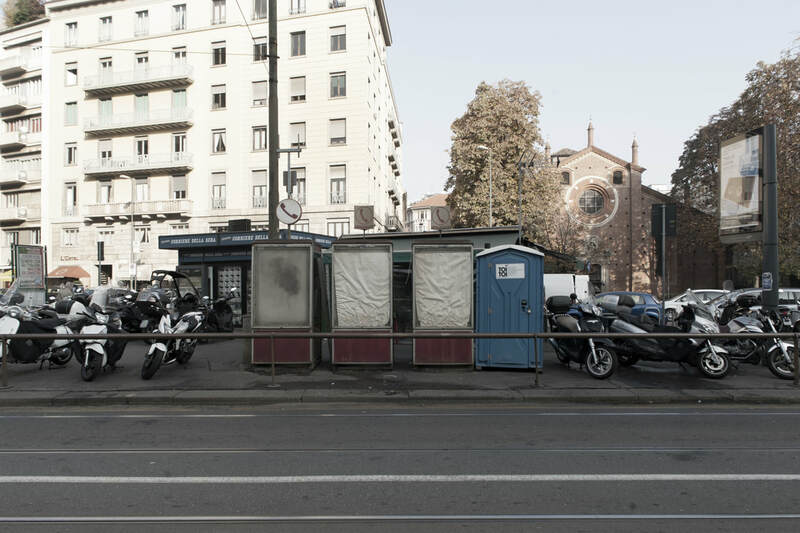 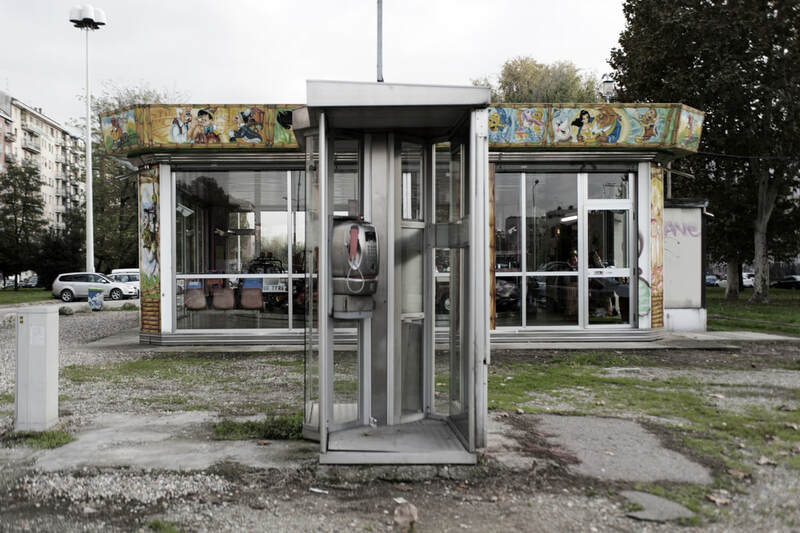 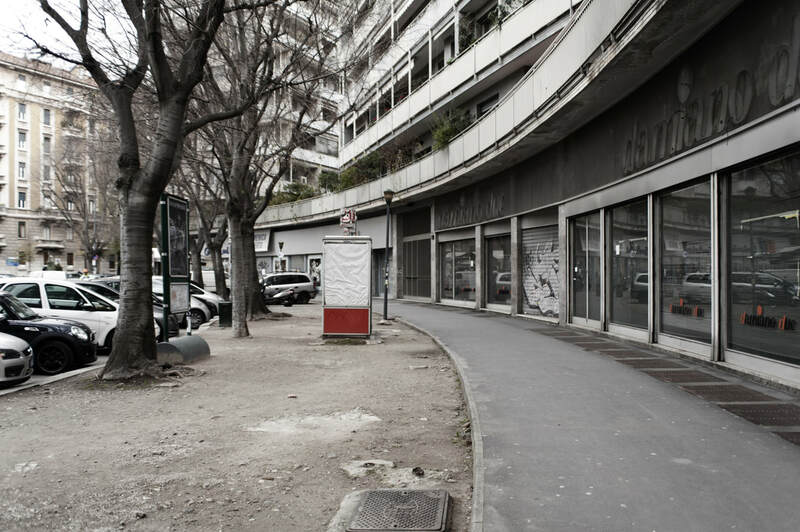 31/10 / CONS - published in the official Gazzetta of the Italian Republic - authorized Telecom Italia to the remove all the public telephone booths no longer strictly necessary yet allowing the citizens the right to file an opposition. 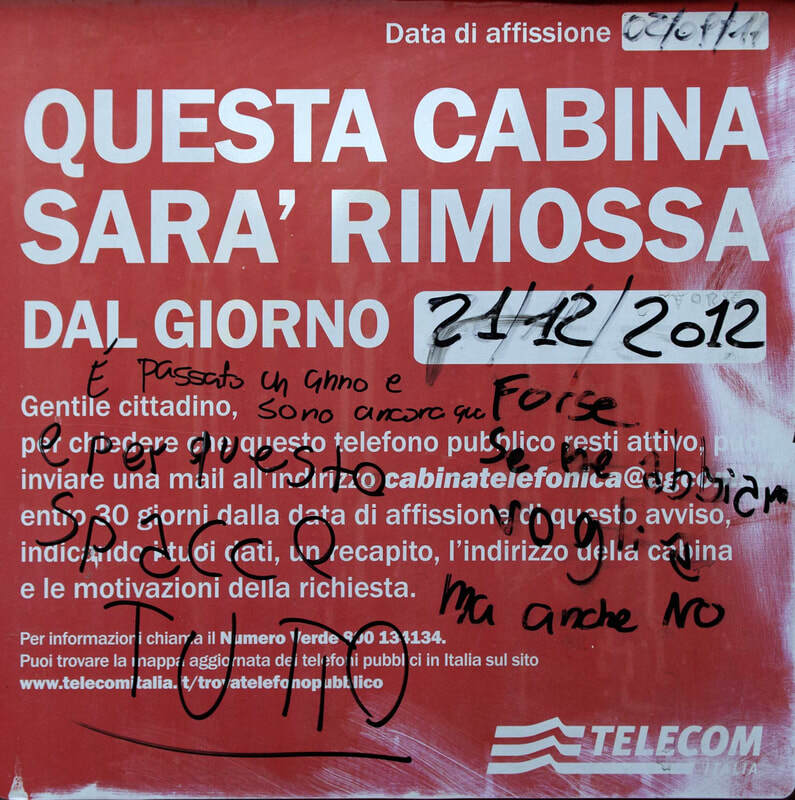 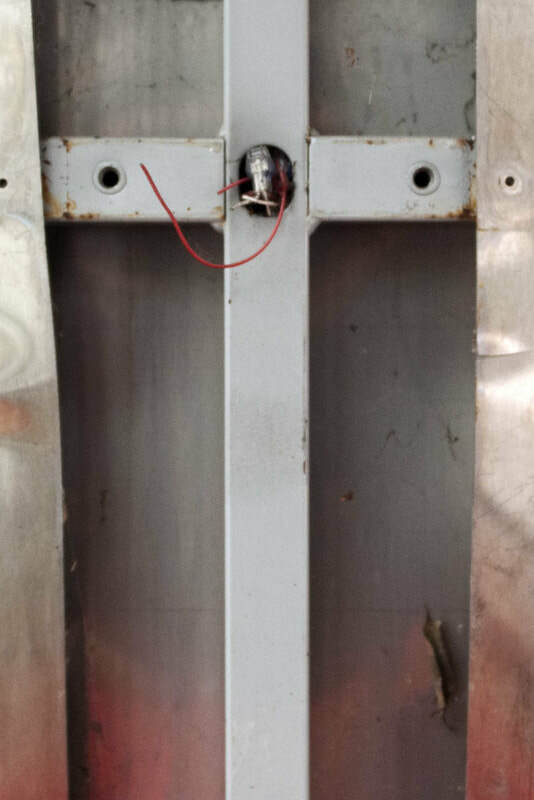 The removal is communicated with a sign hanging on the same booth that shows the date from which the box can be removed. 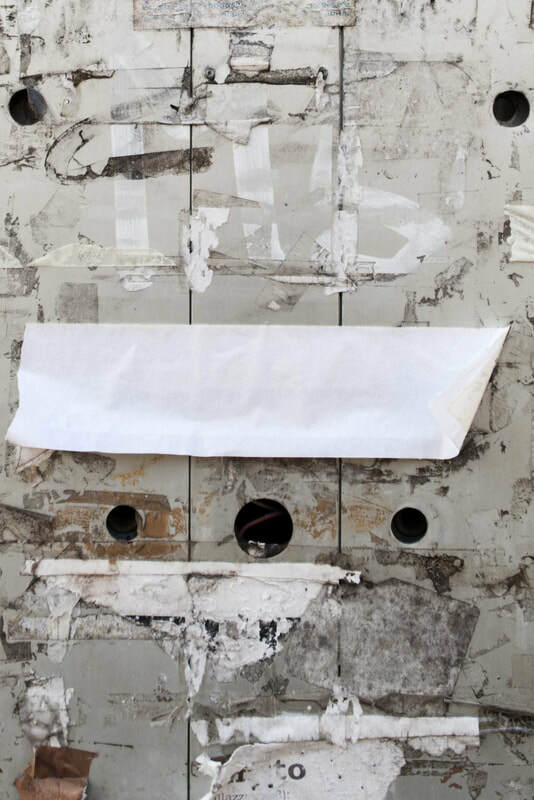 There's no a precise indication of the necessary time frame, as happens for terminally ill patients, but you'll find an e-mail address where you can fight against the removal on the basis of valid reasons within 30 days from the date on which the notice is posted. 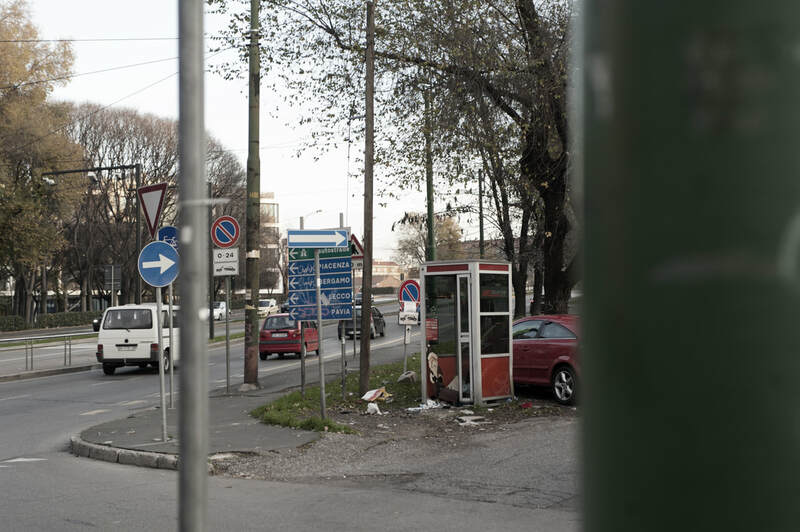 In the same municipality where the first telephone booth was installed I wanted to look for those that were being removed before. 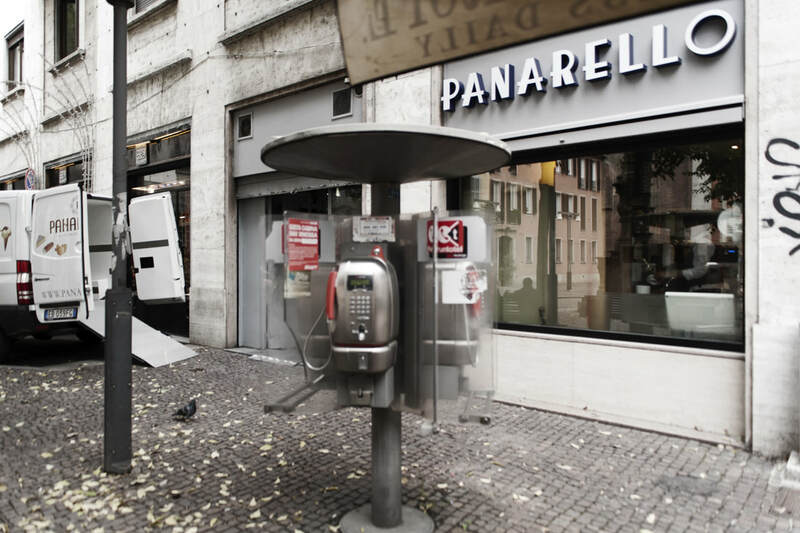 "MI CHIAMI?" 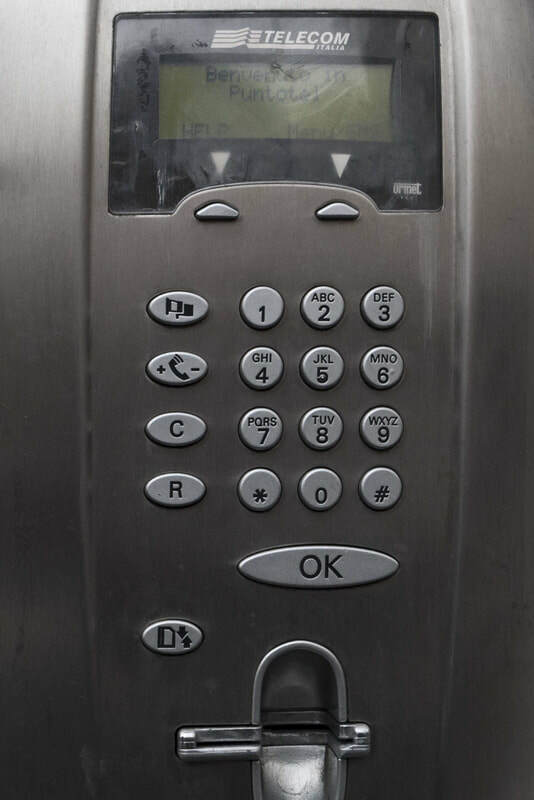 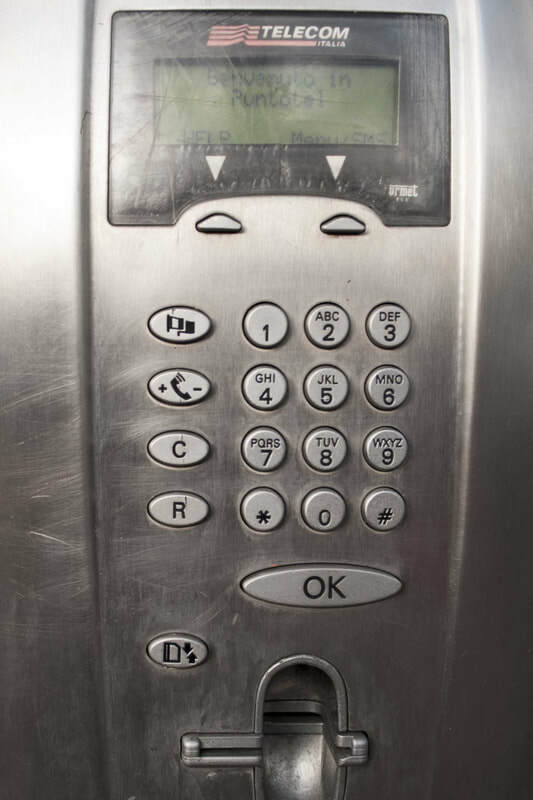 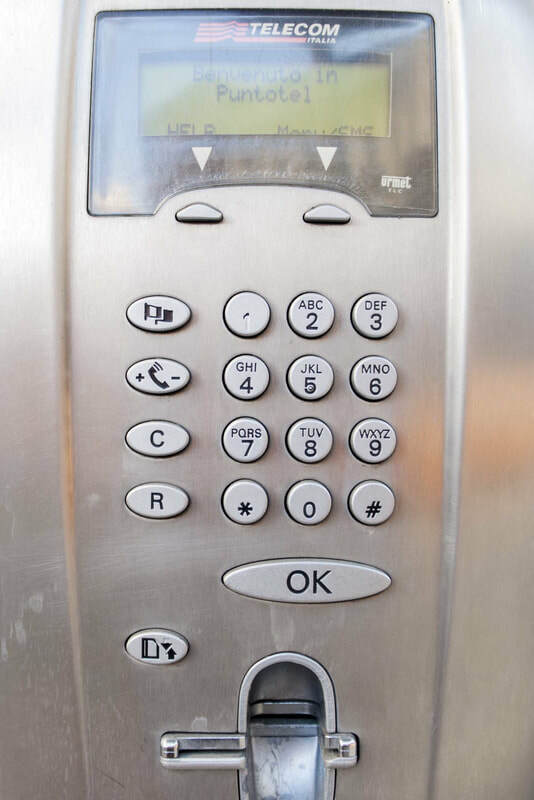 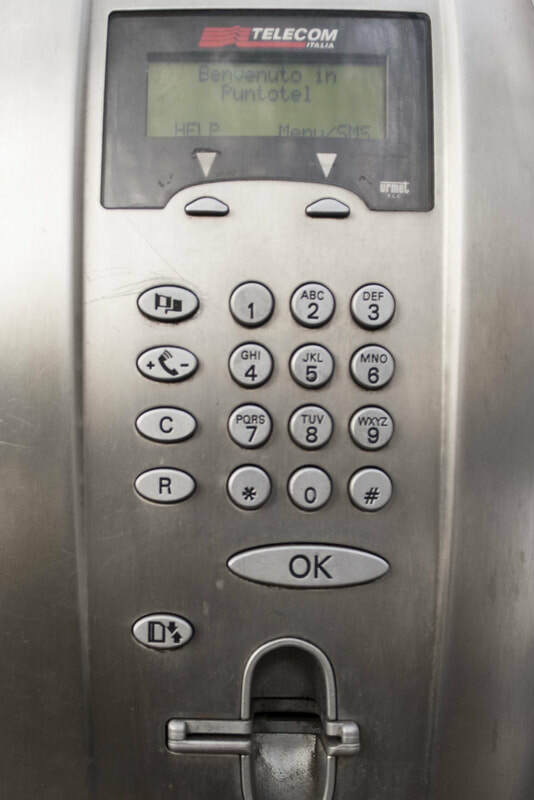 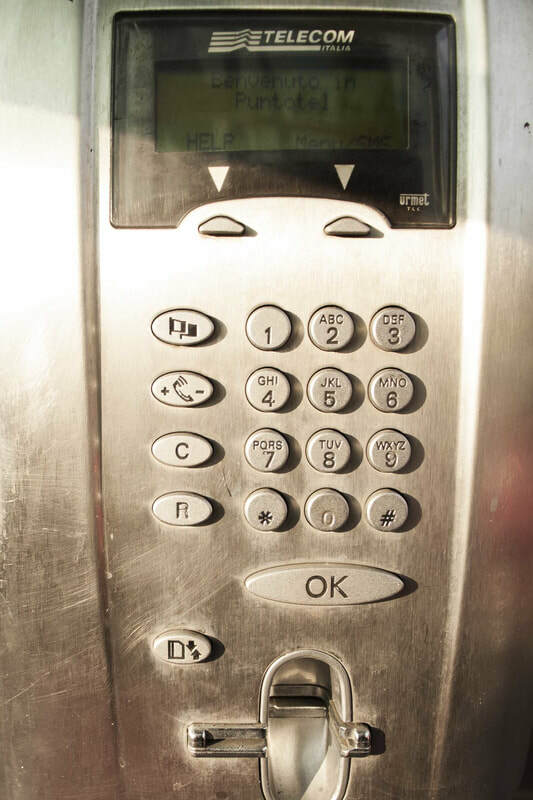 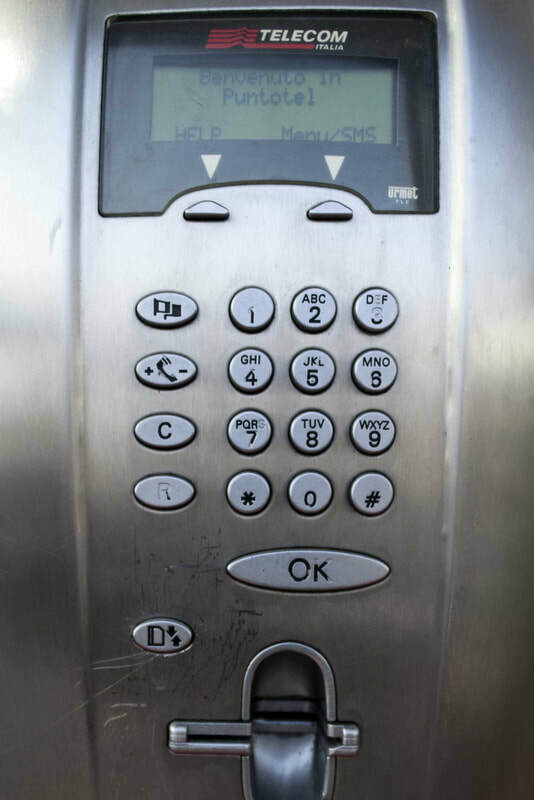 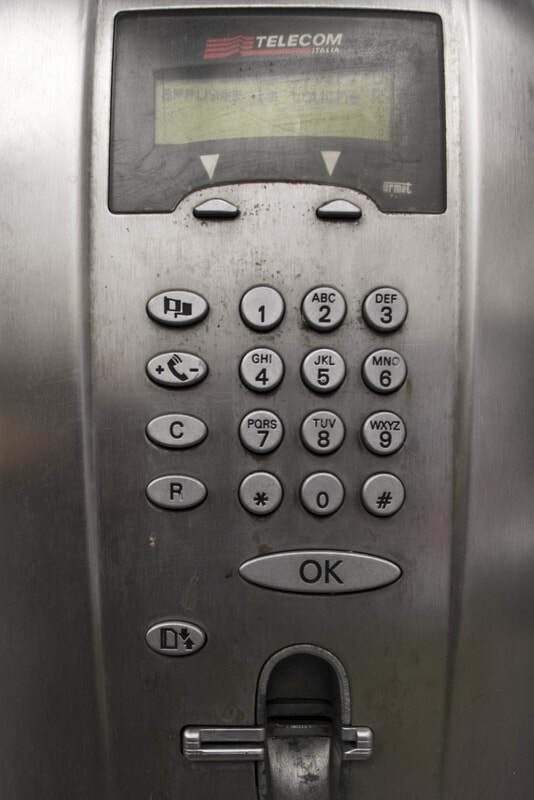 is a service that offers you the chance to call the phone booth equipped with an alphanumeric keyboard. 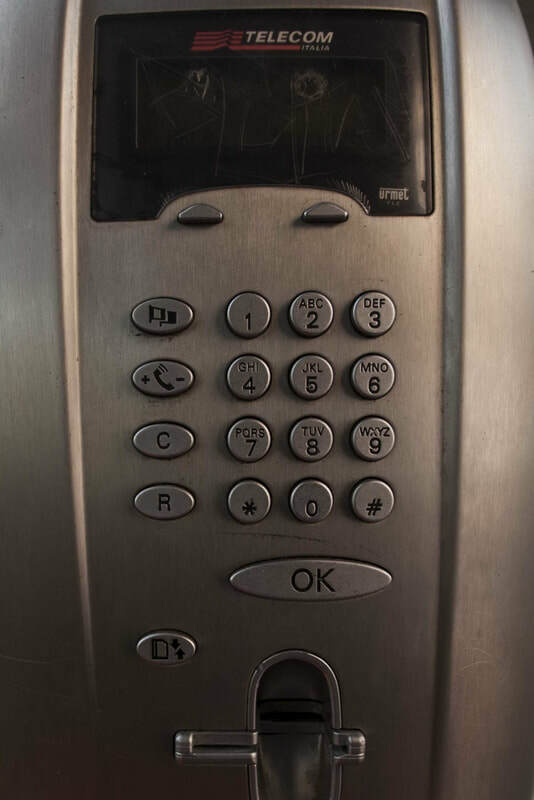 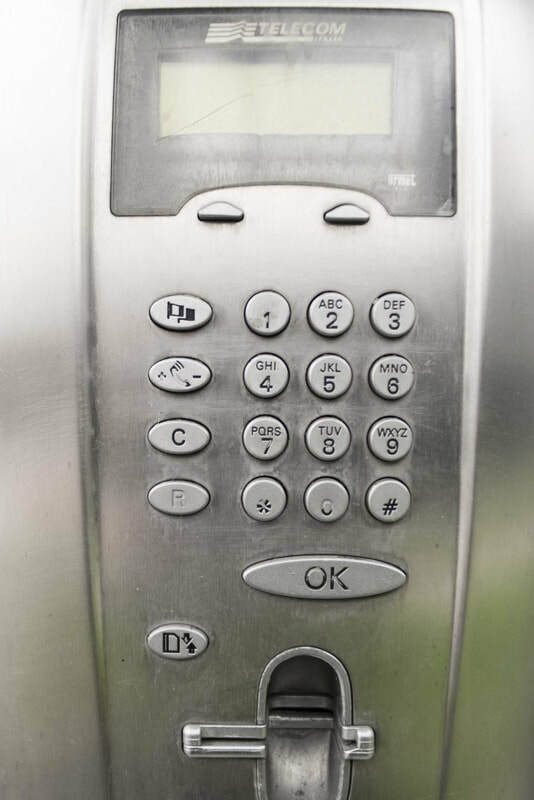 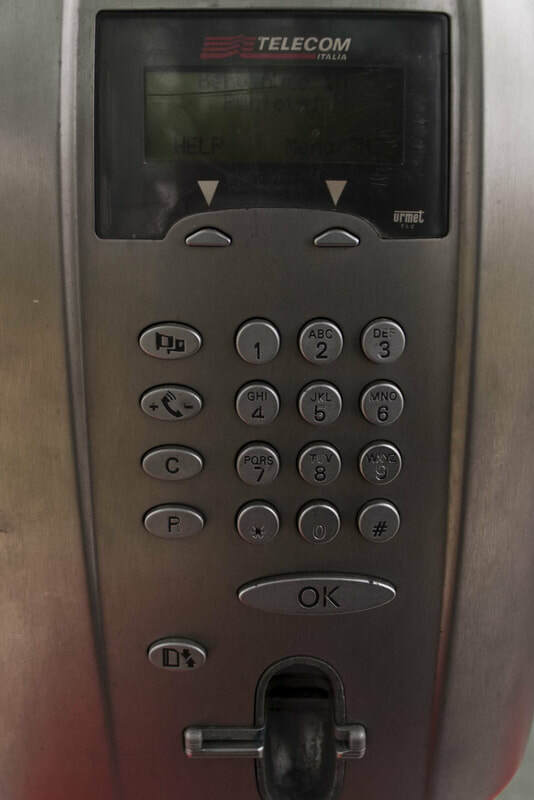 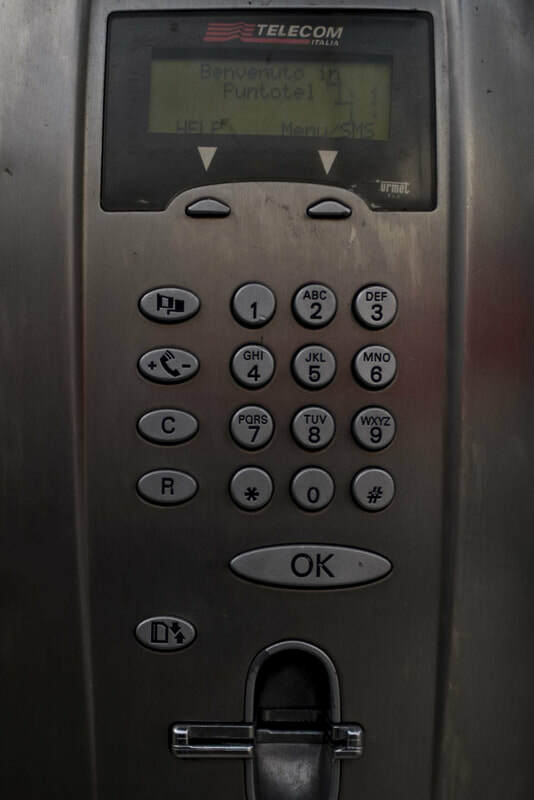 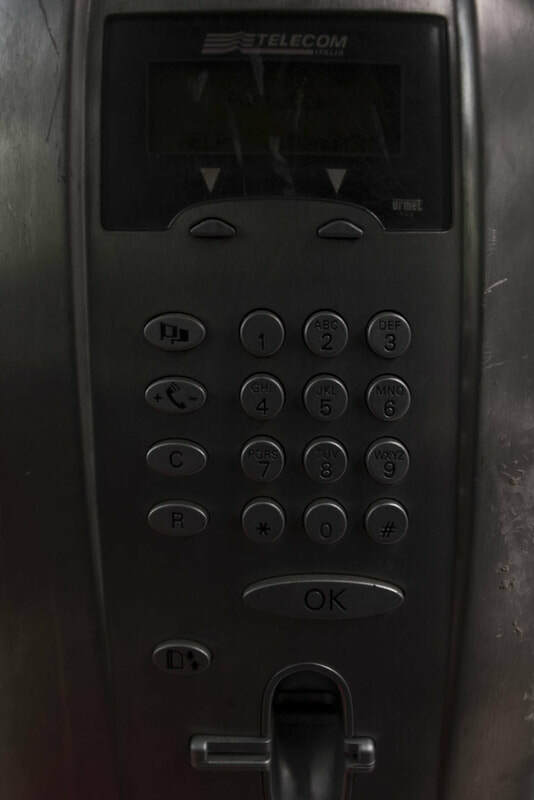 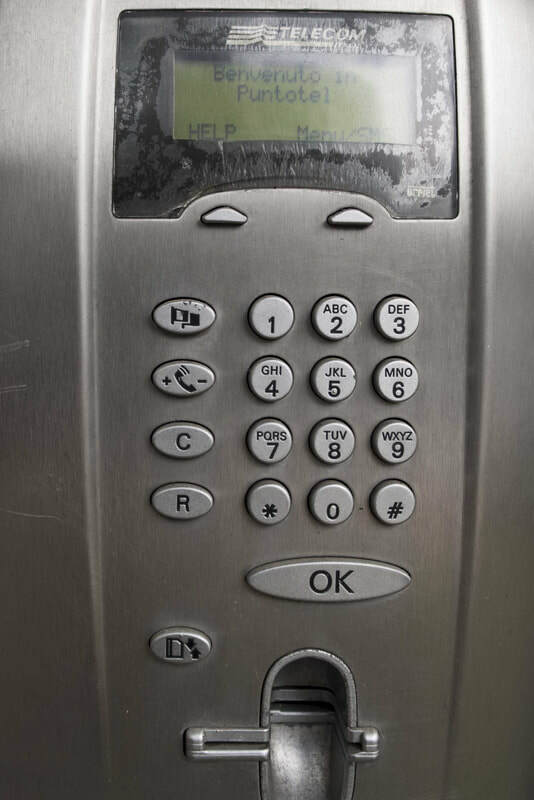 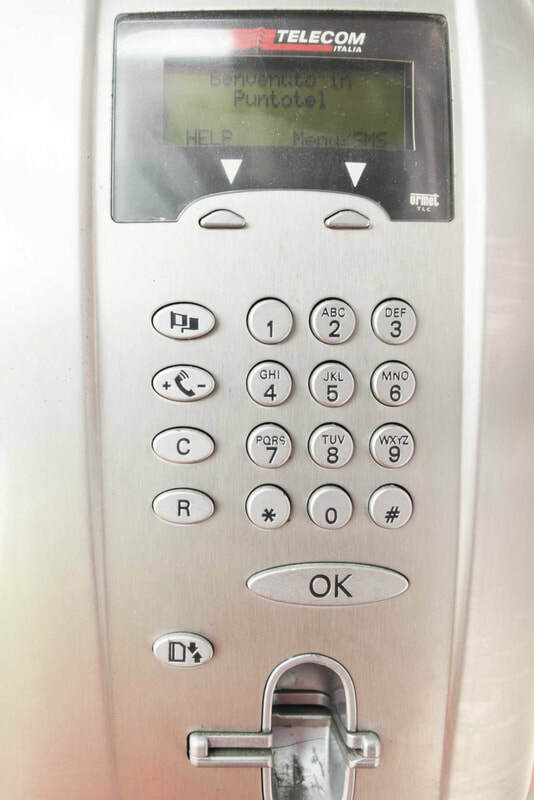 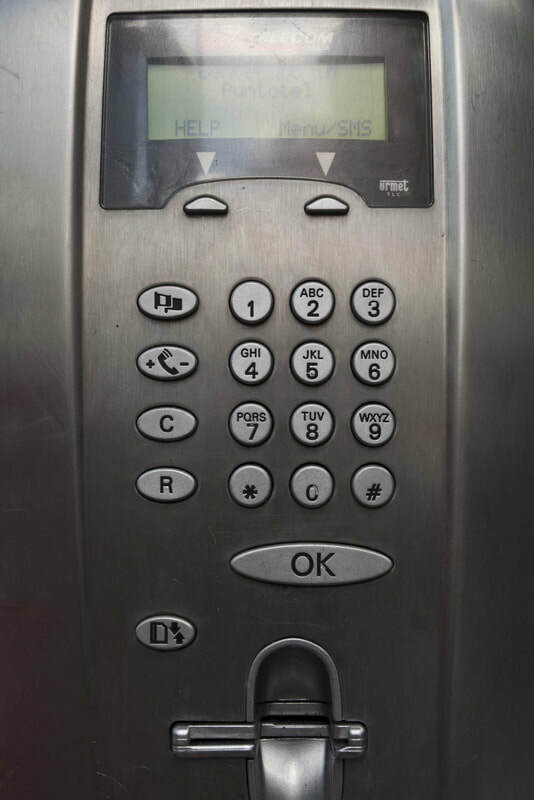 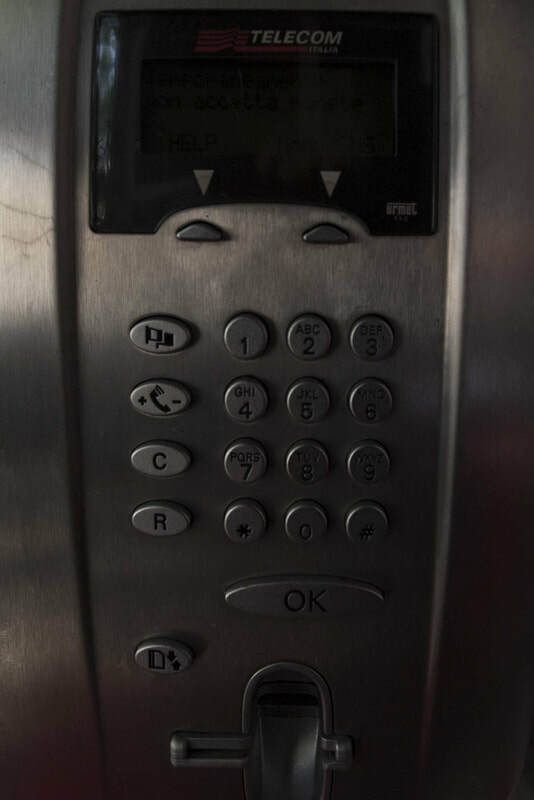 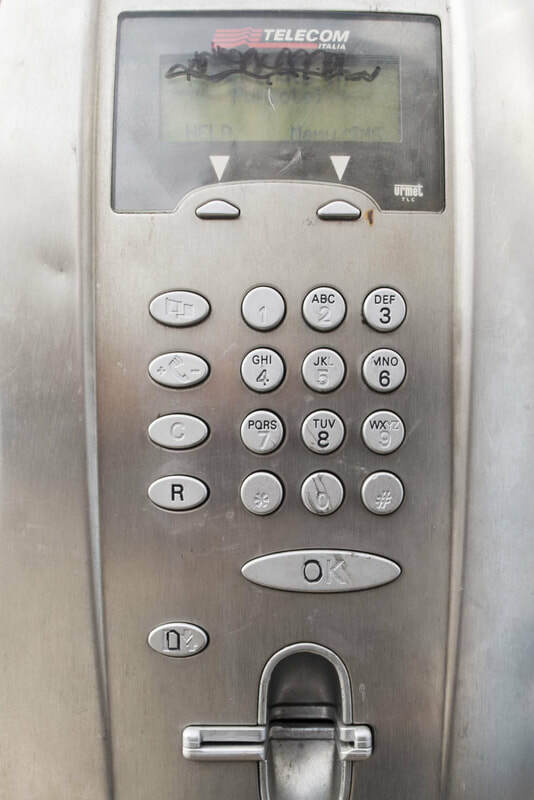 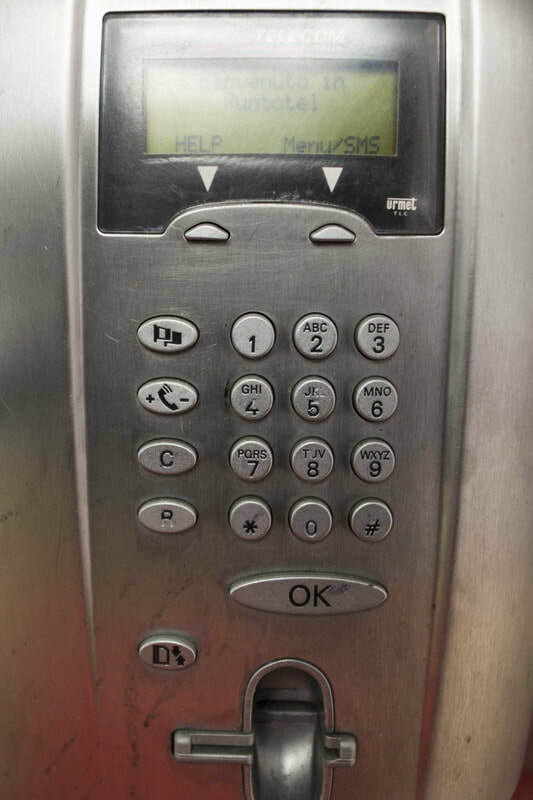 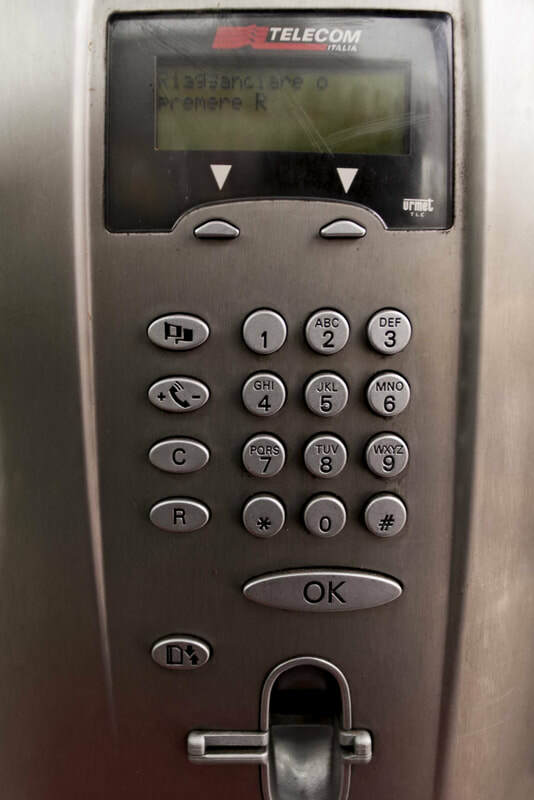 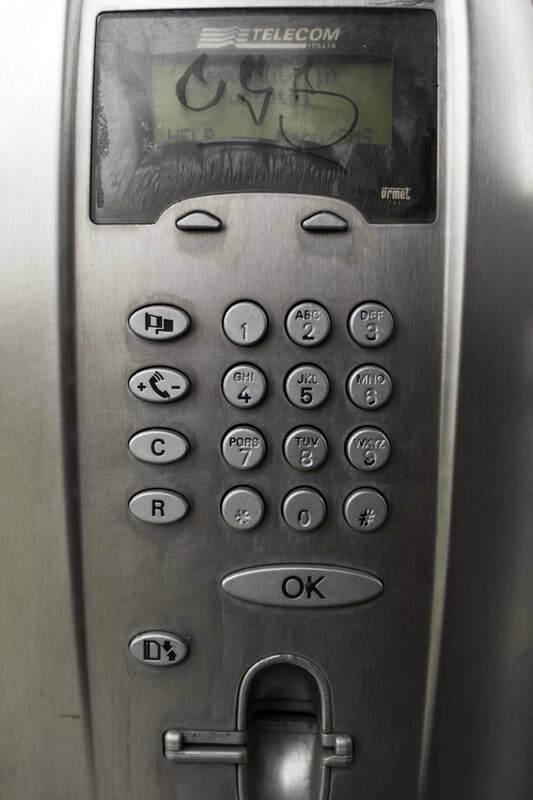 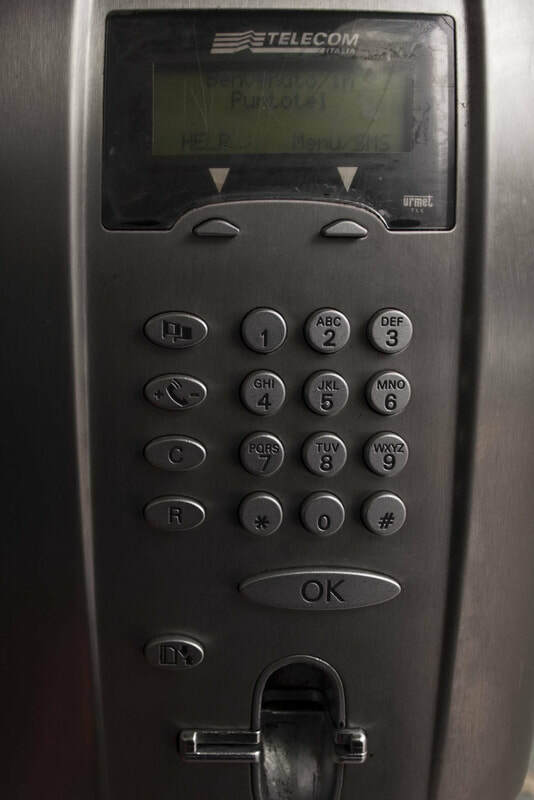 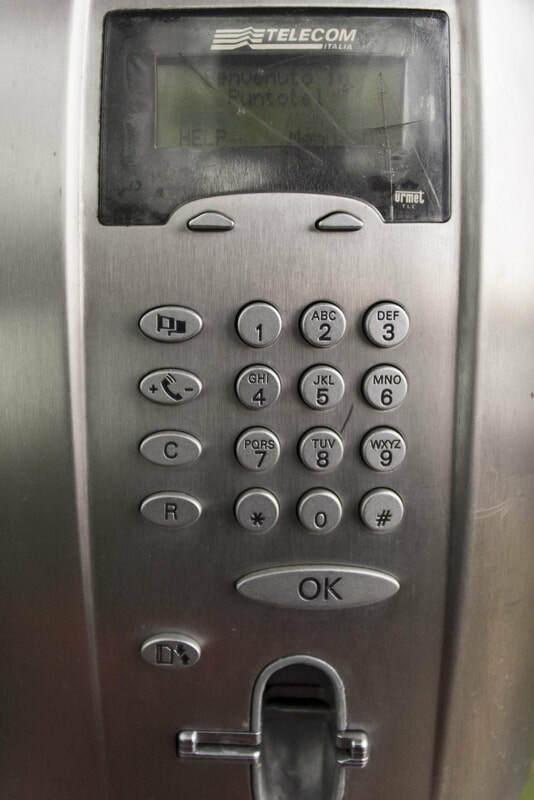 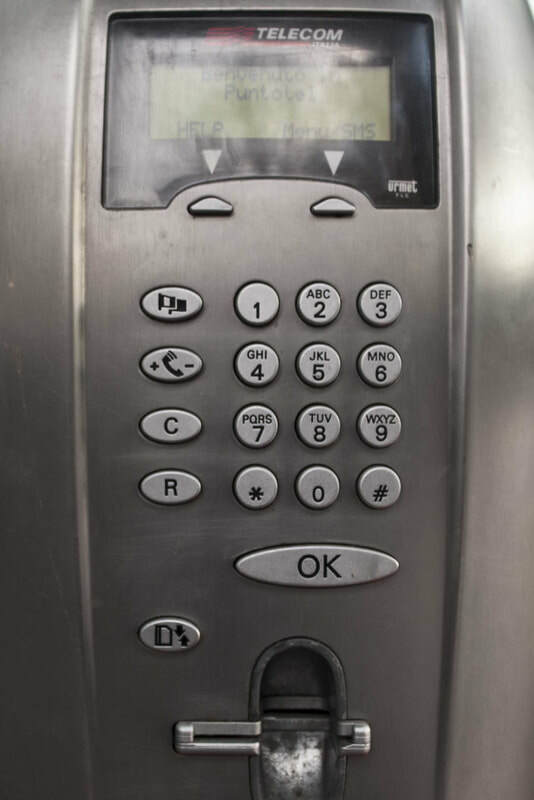 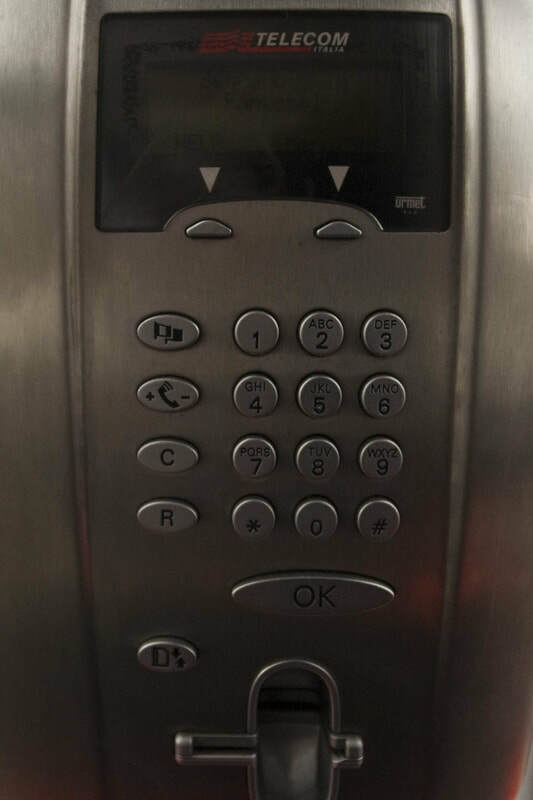 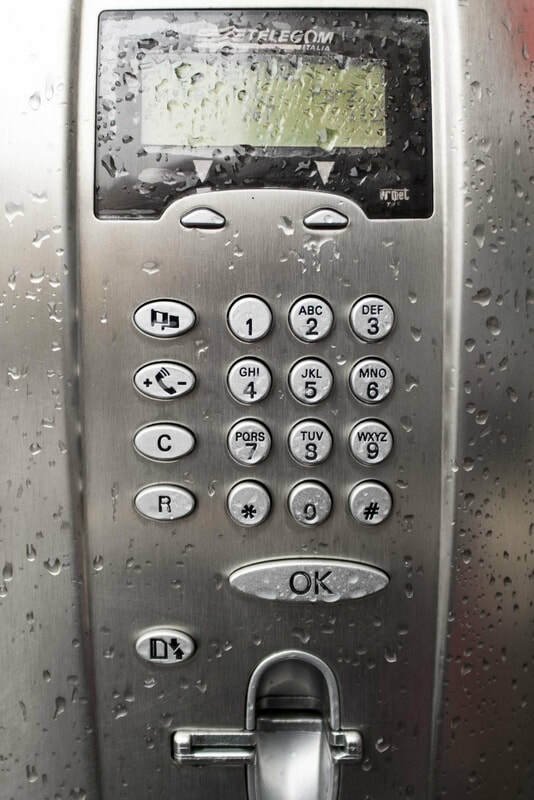 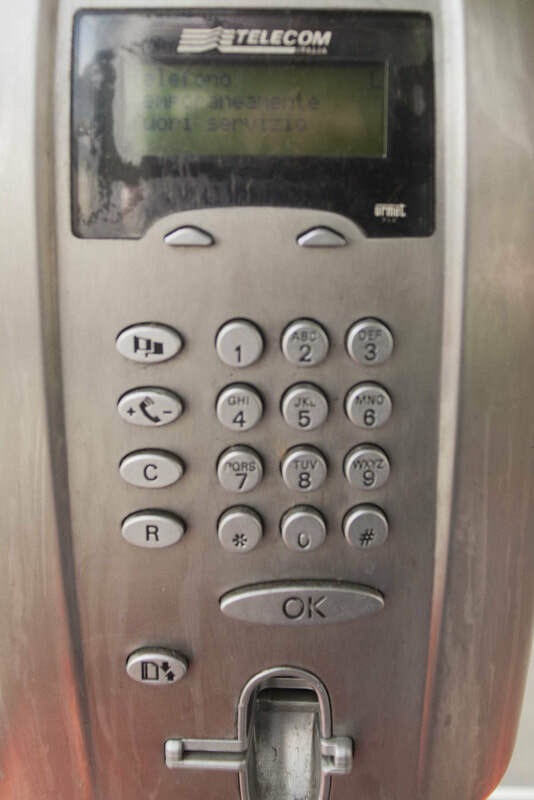 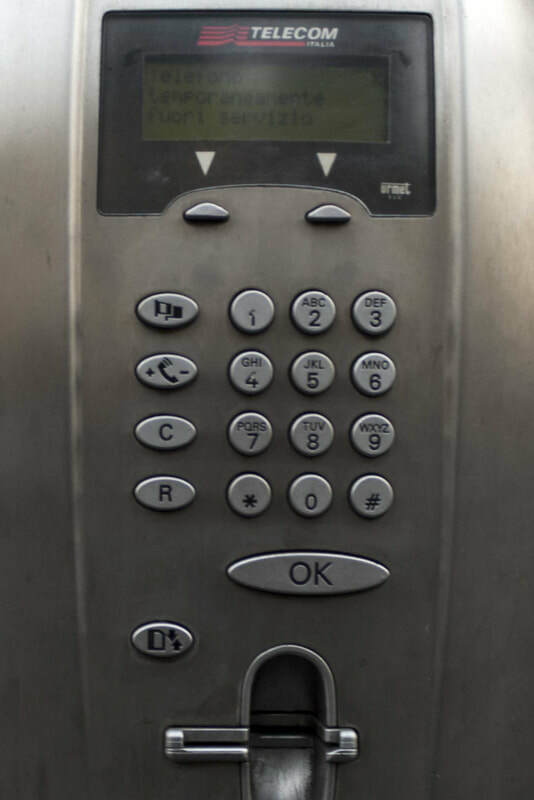 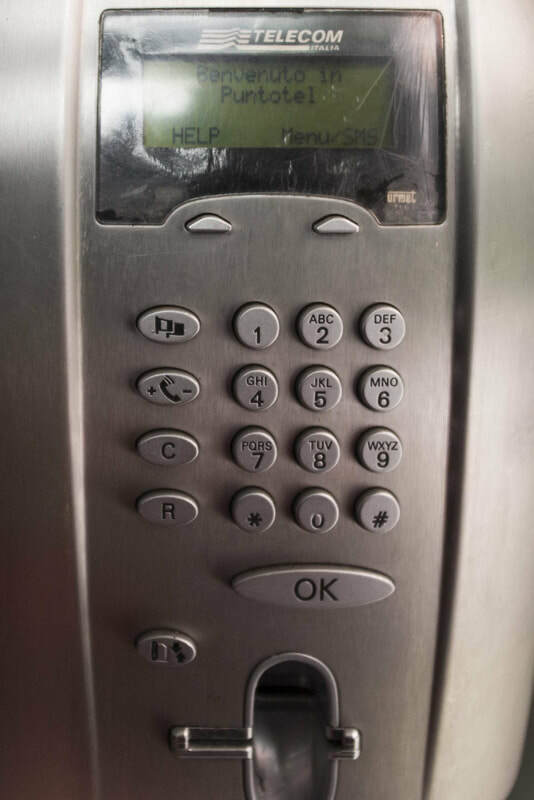 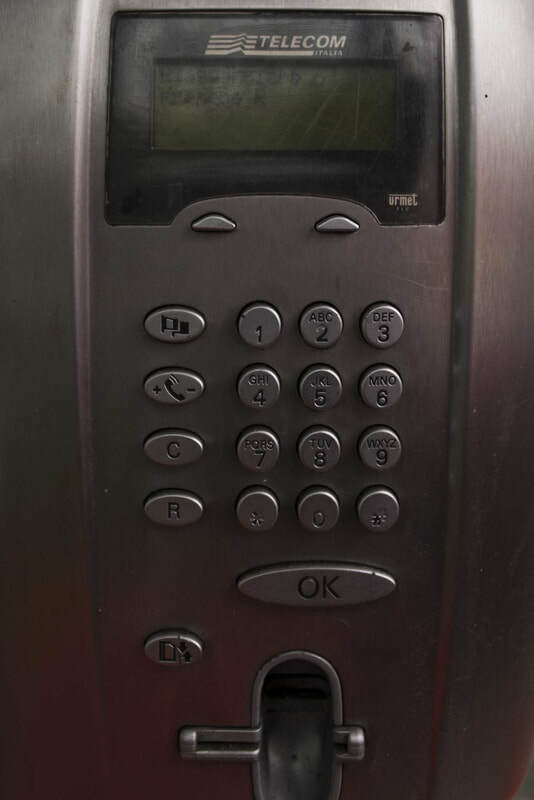 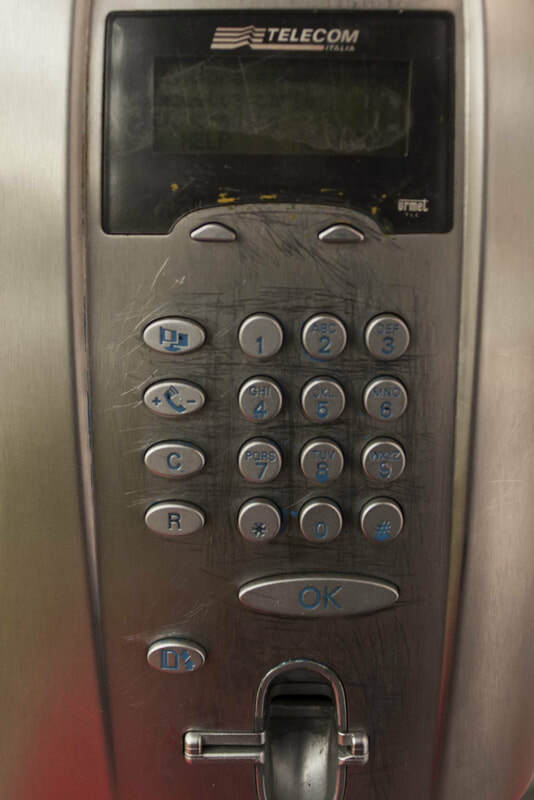 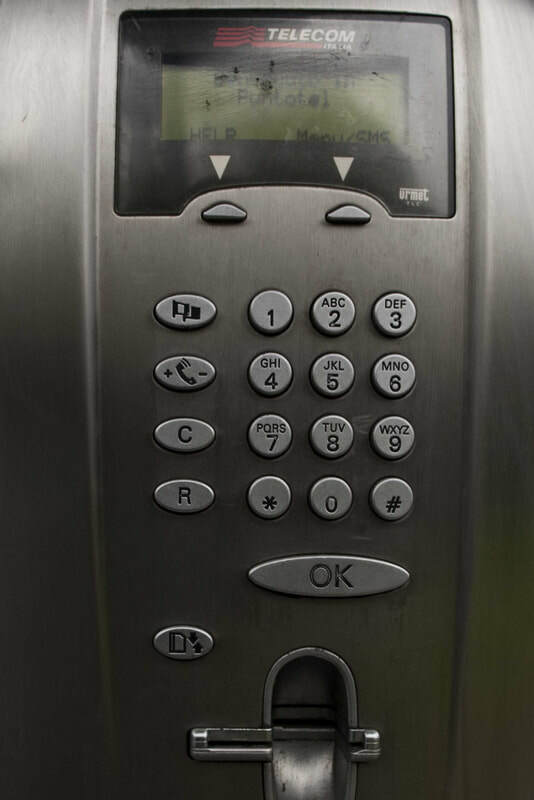 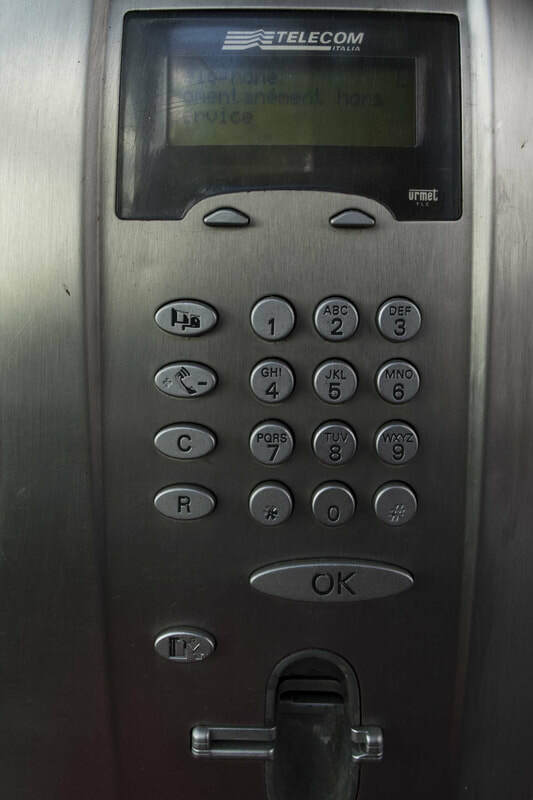 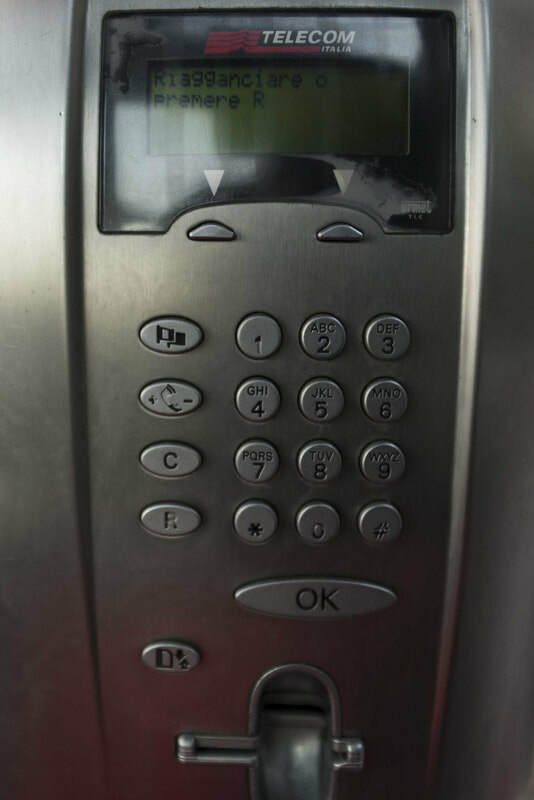 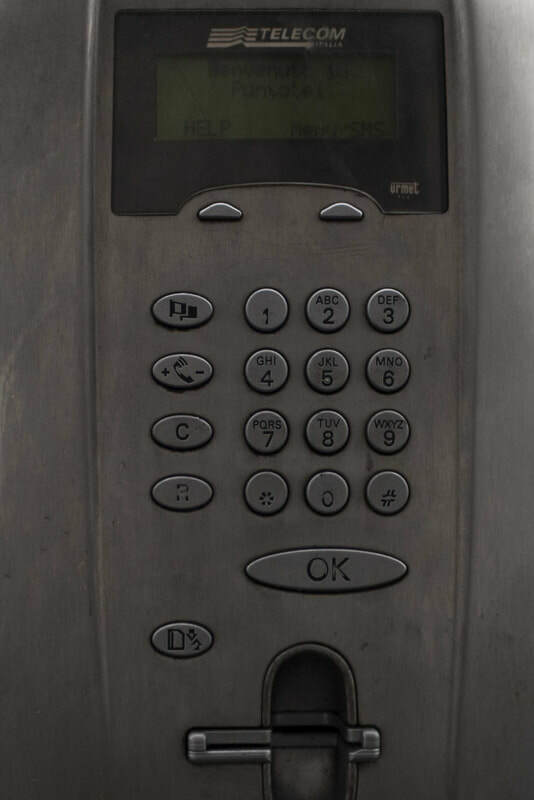 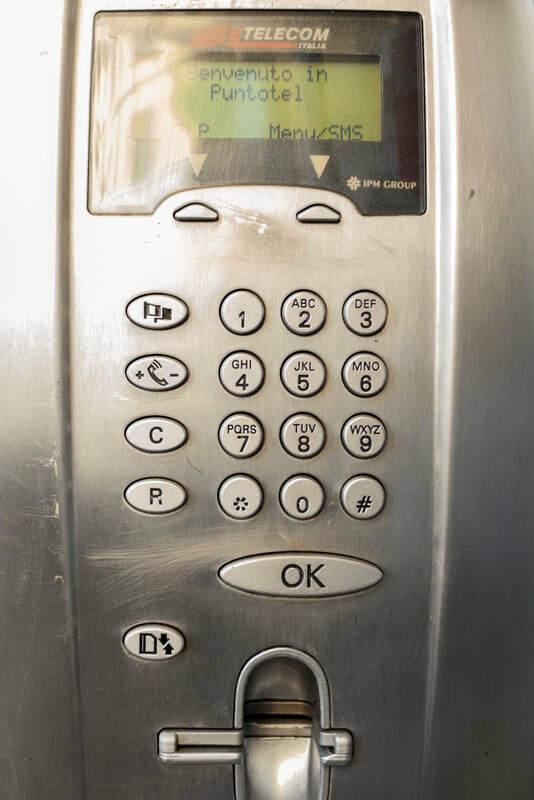 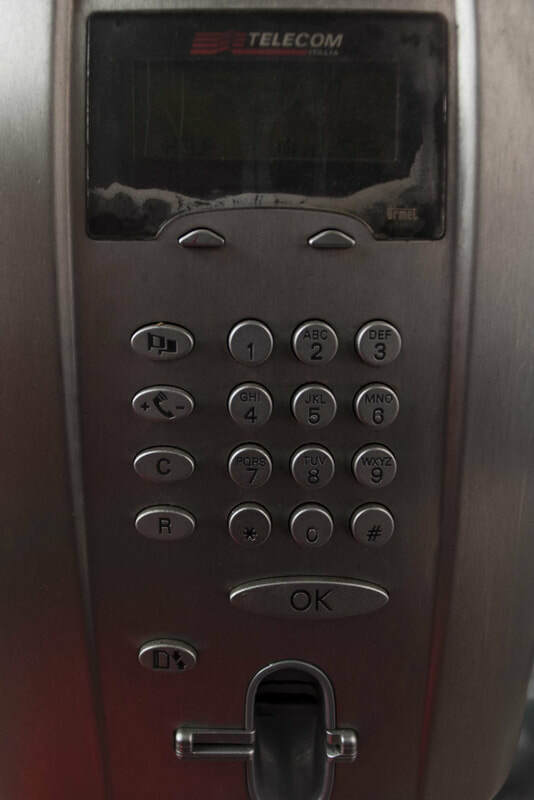 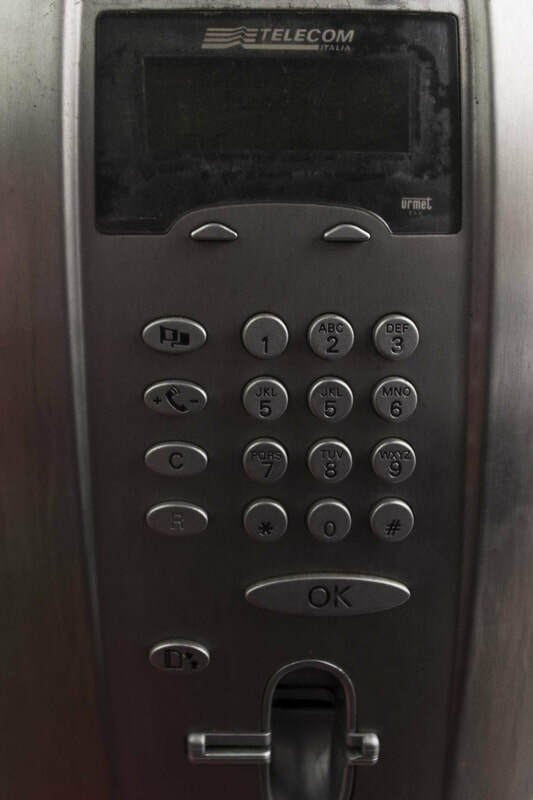 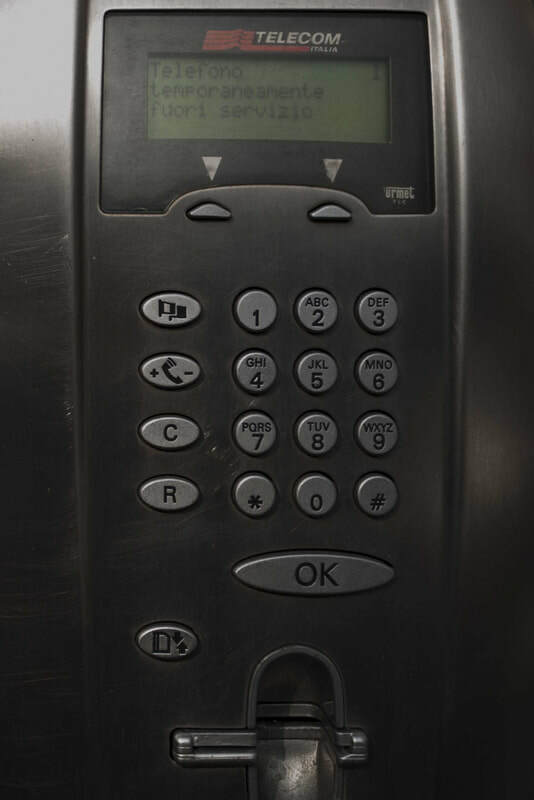 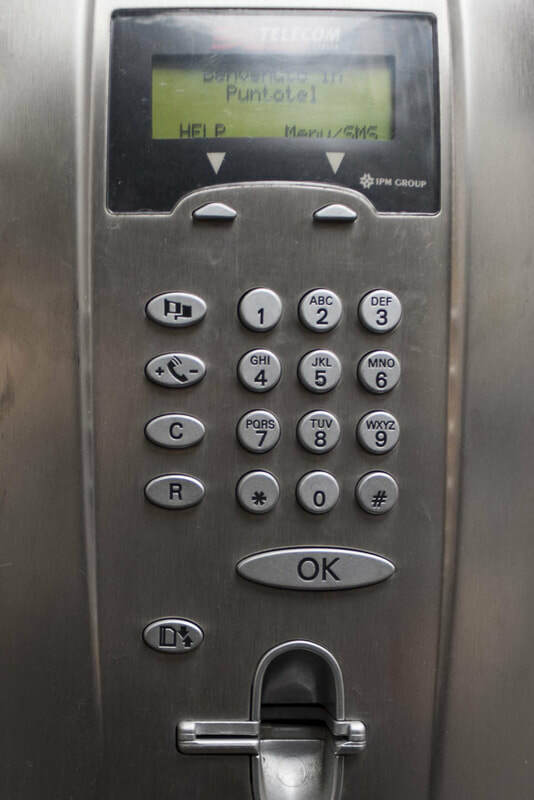 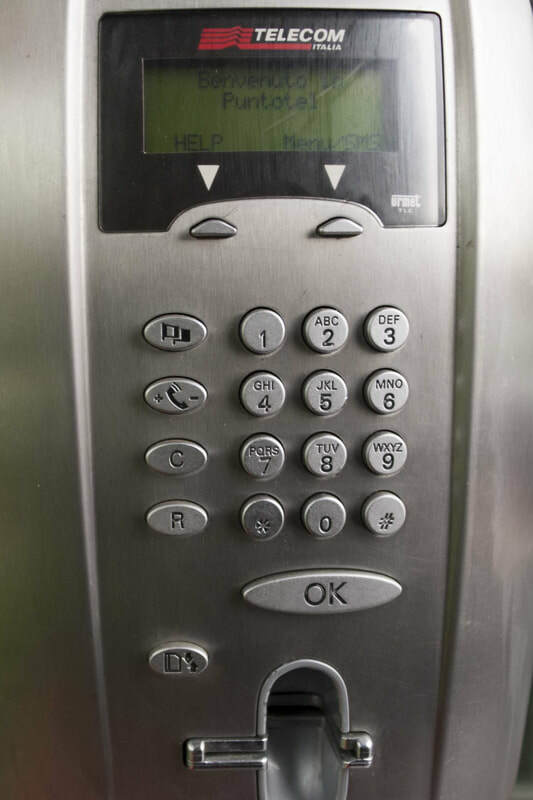 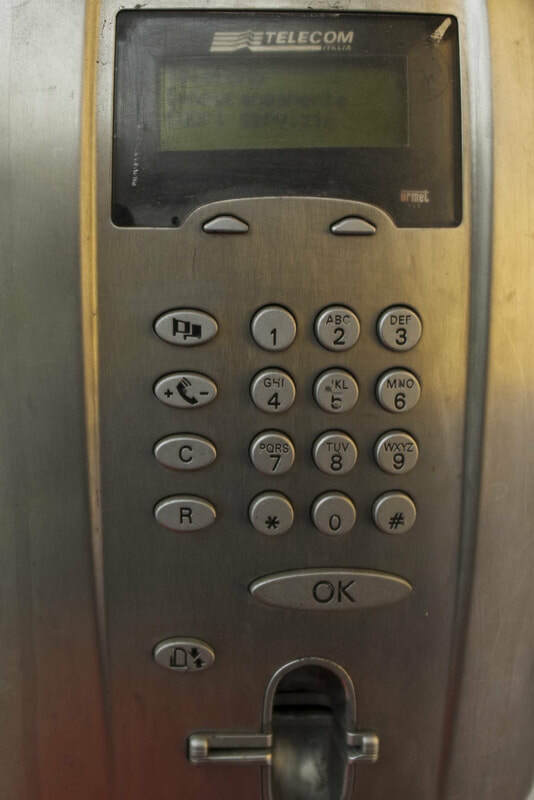 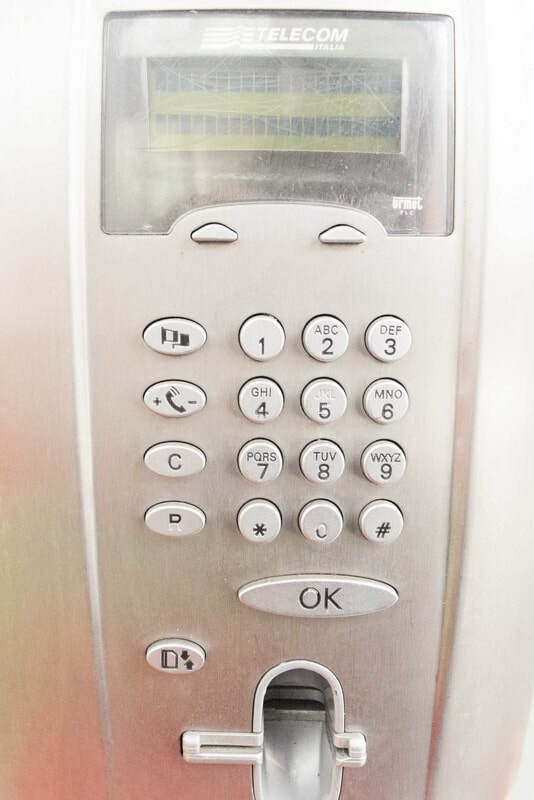 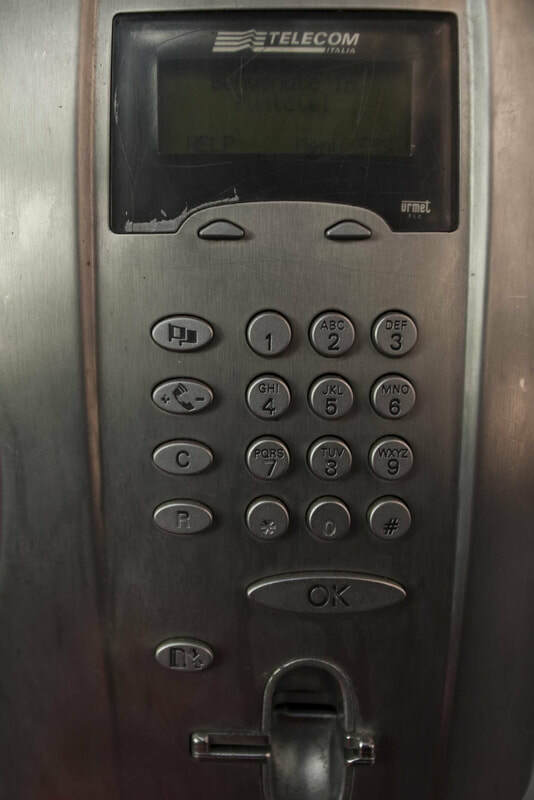 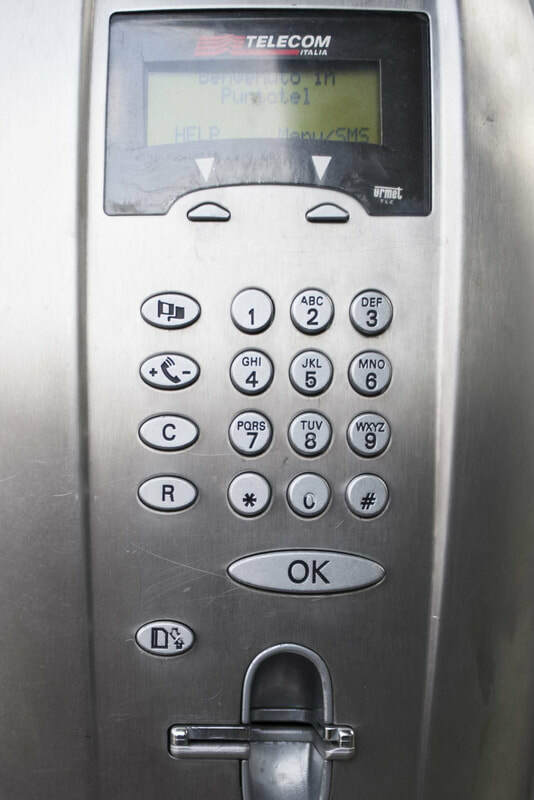 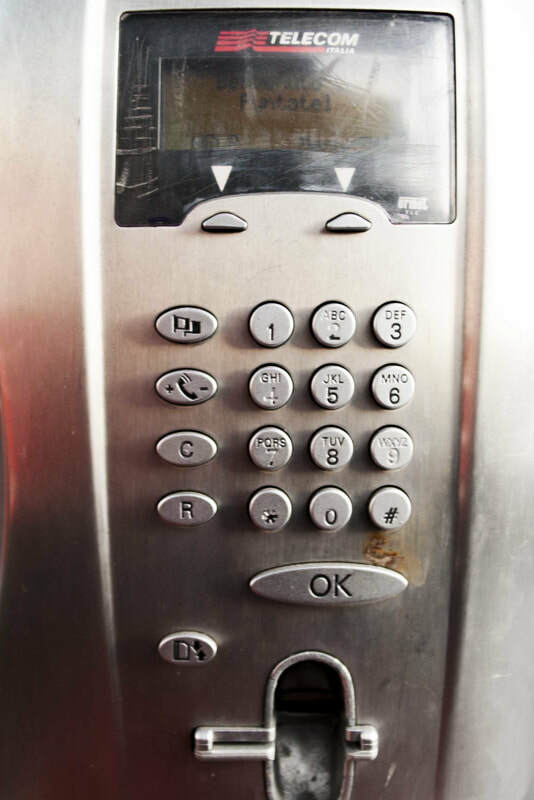 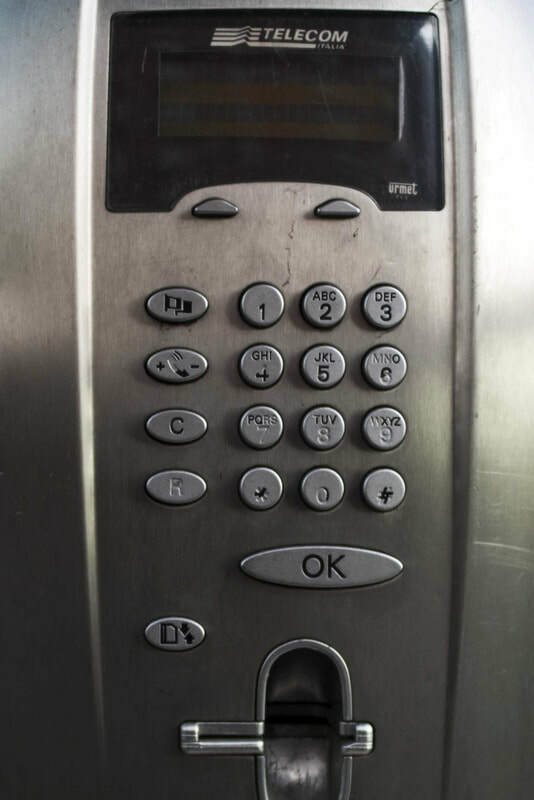 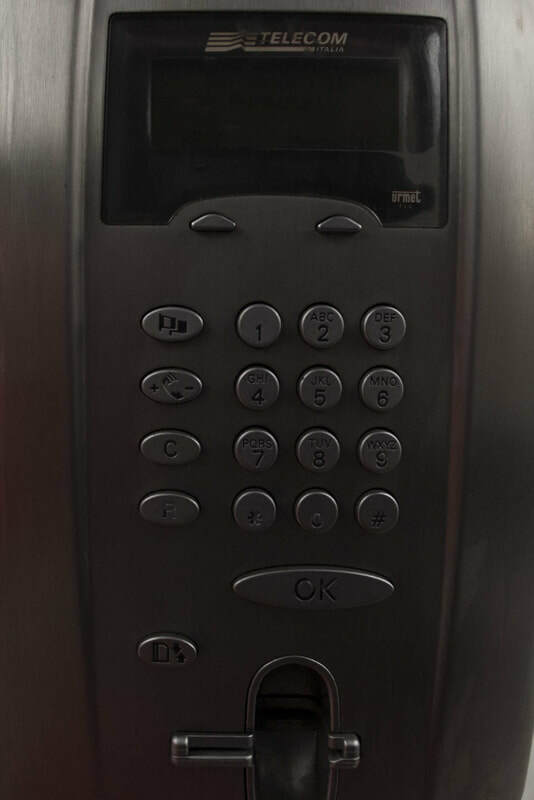 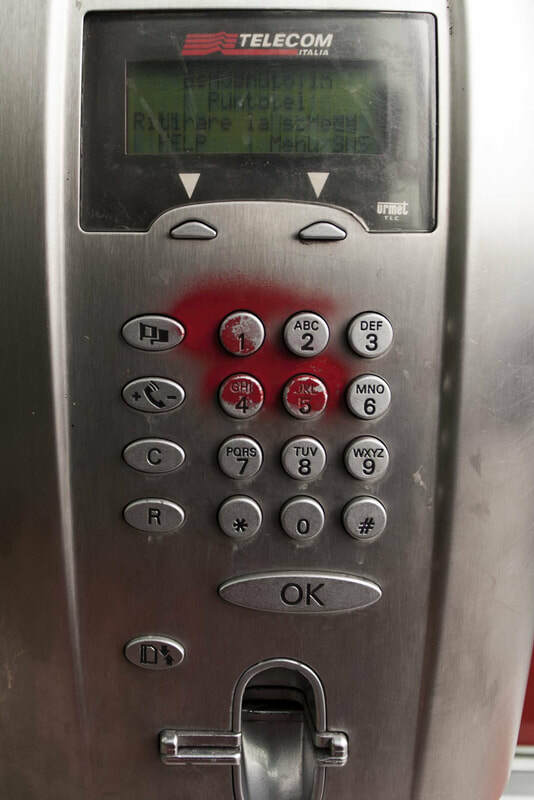 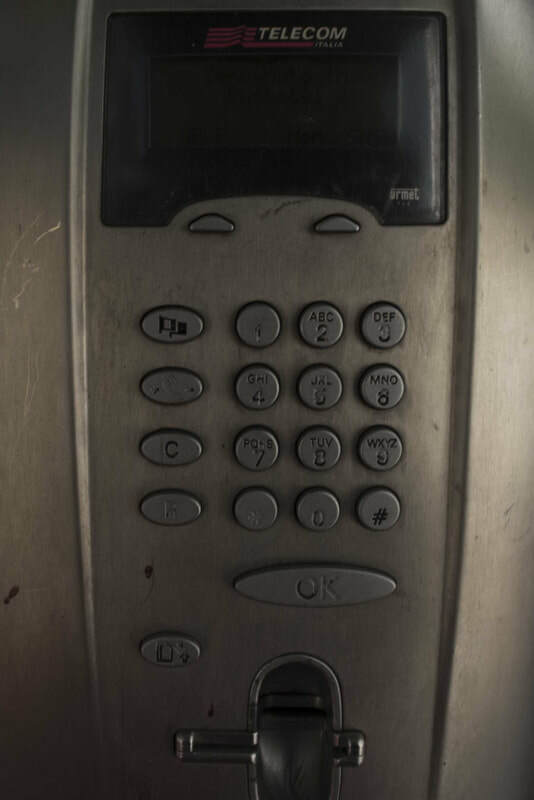 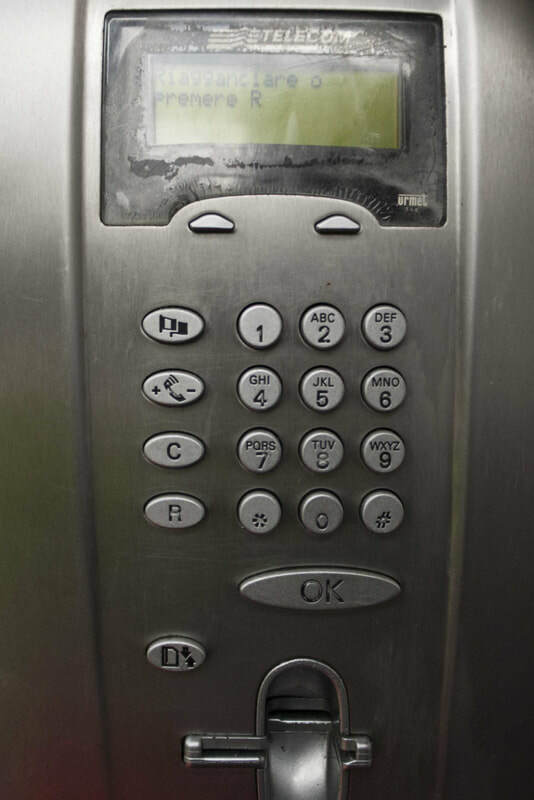 The number will appear on the display after pressing the ok button. 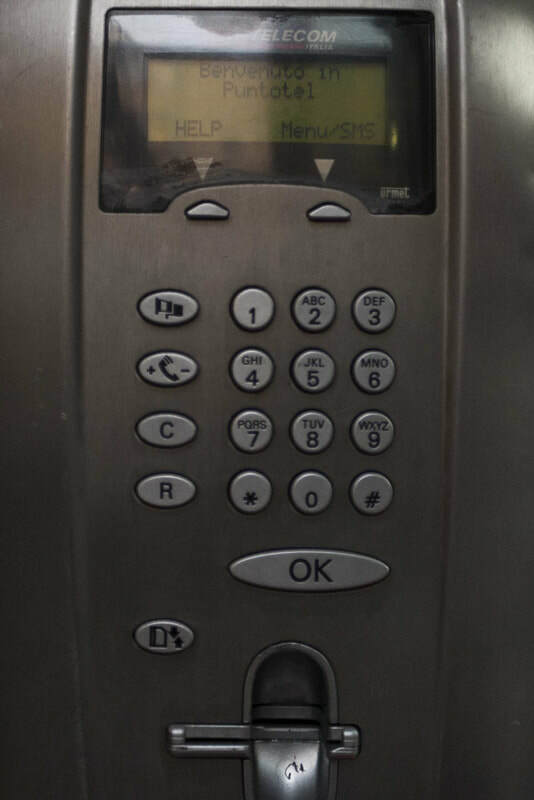 But not always is possible to arrive on time. 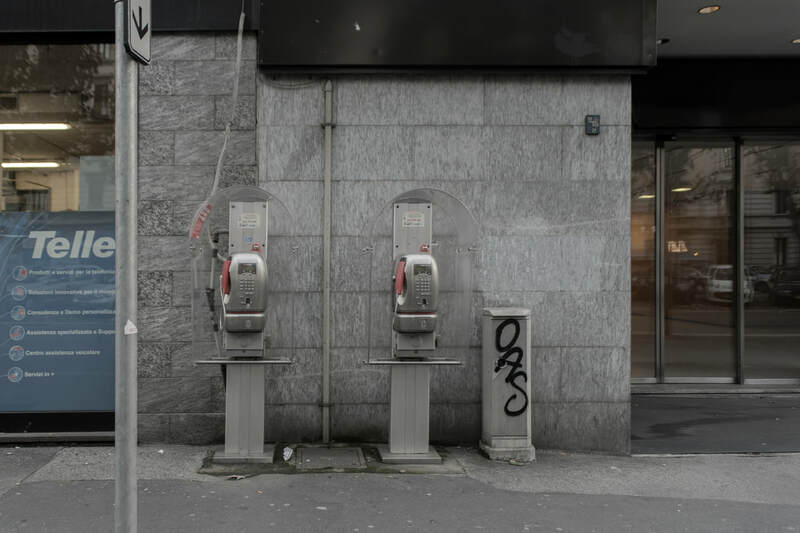 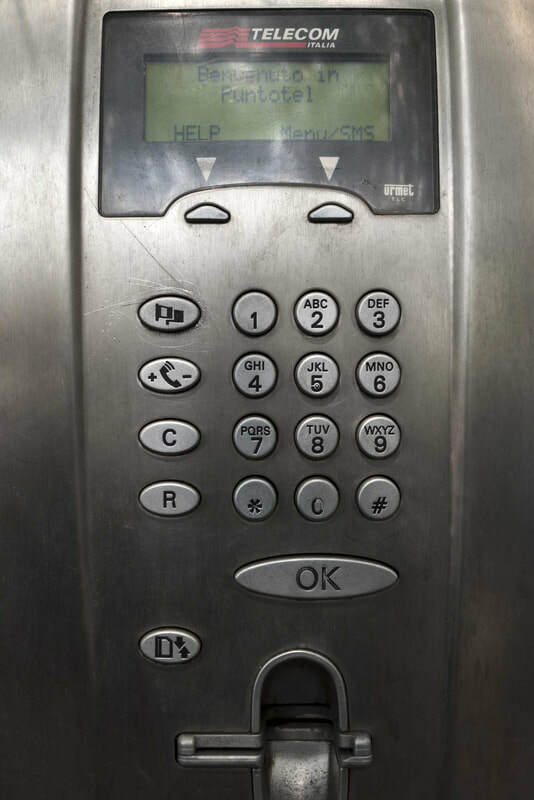 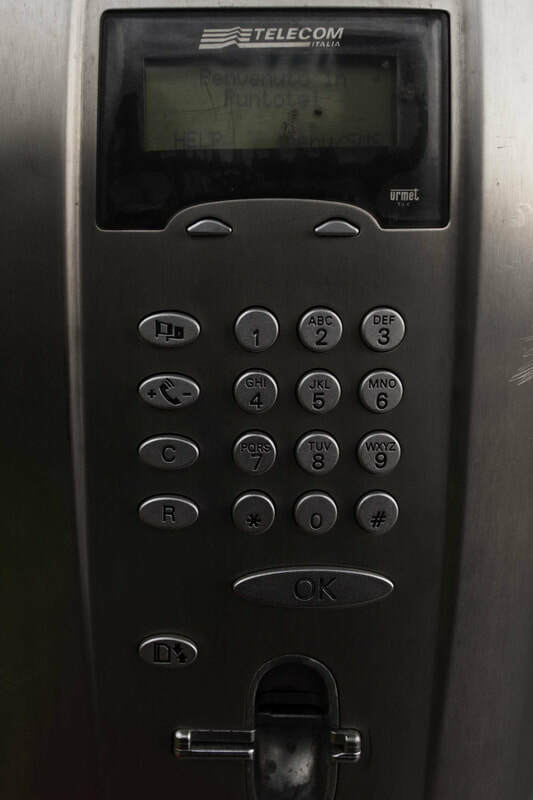 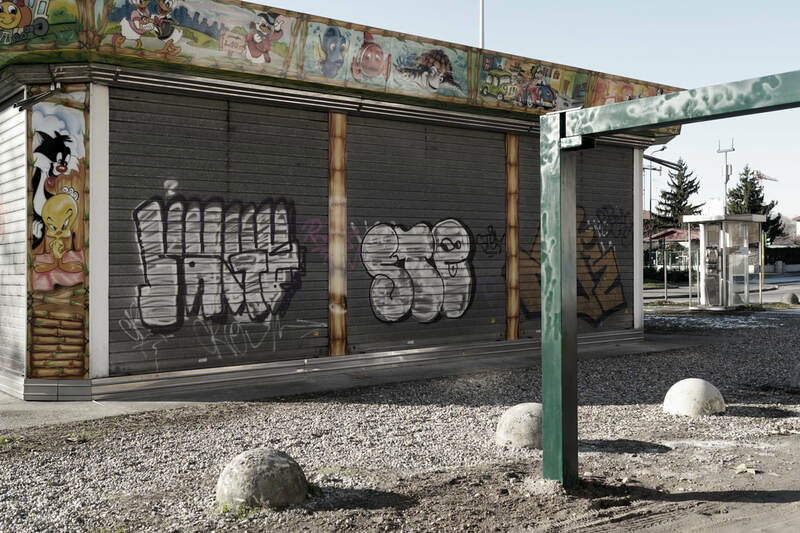 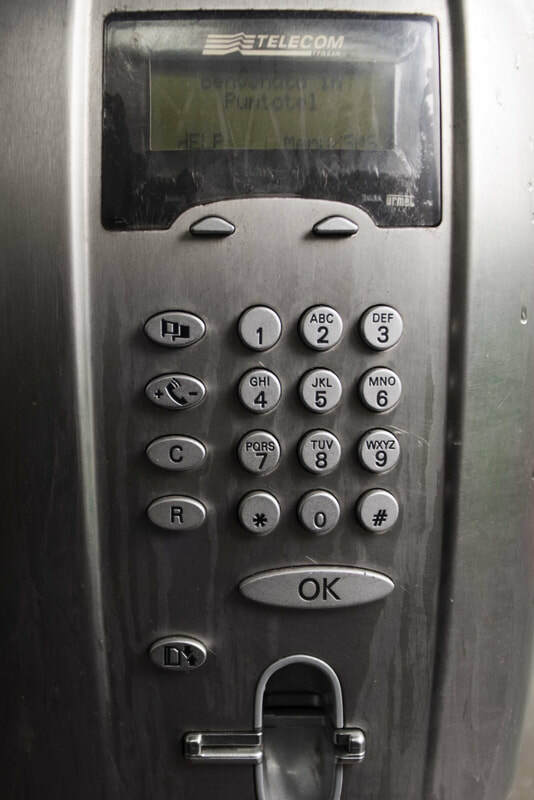 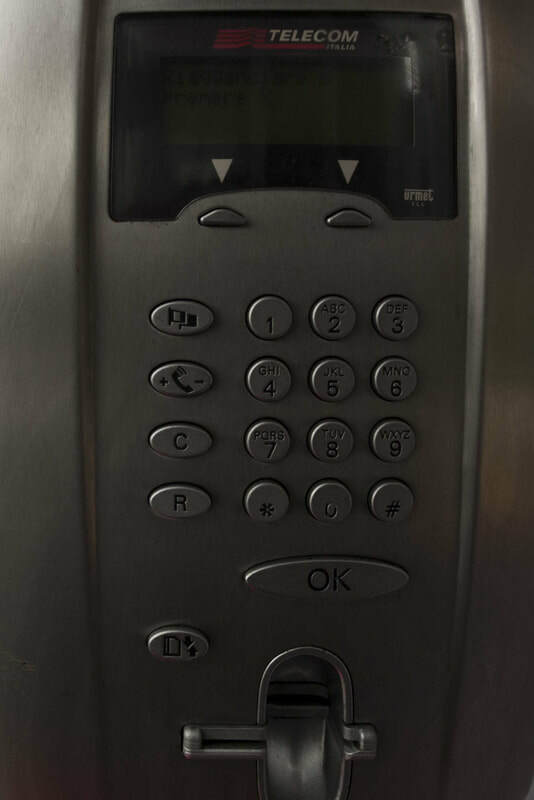 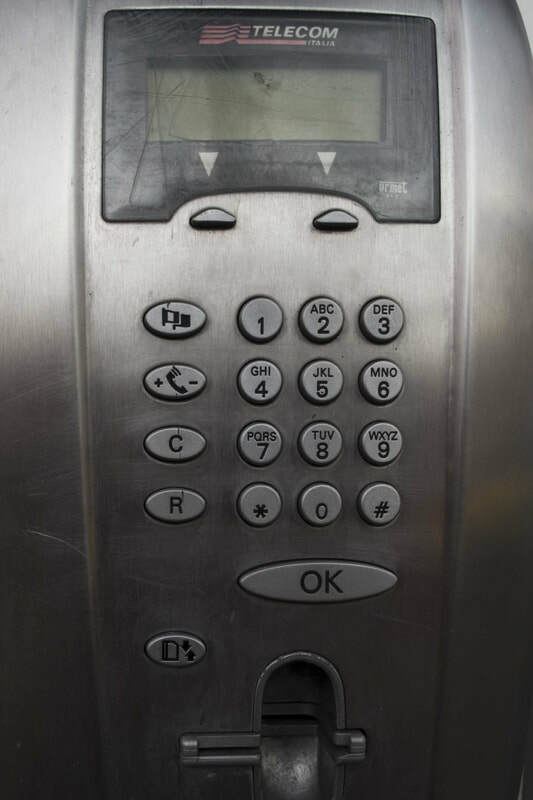 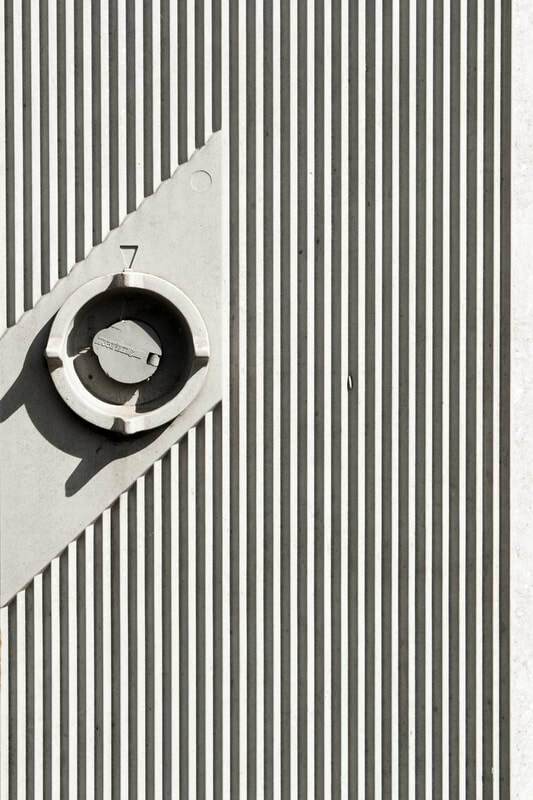 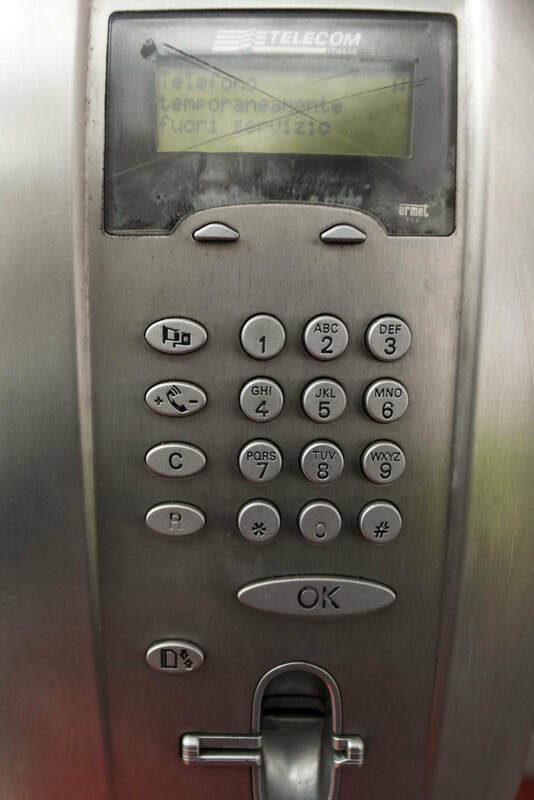 Public telephones are often faulty or have already been removed. 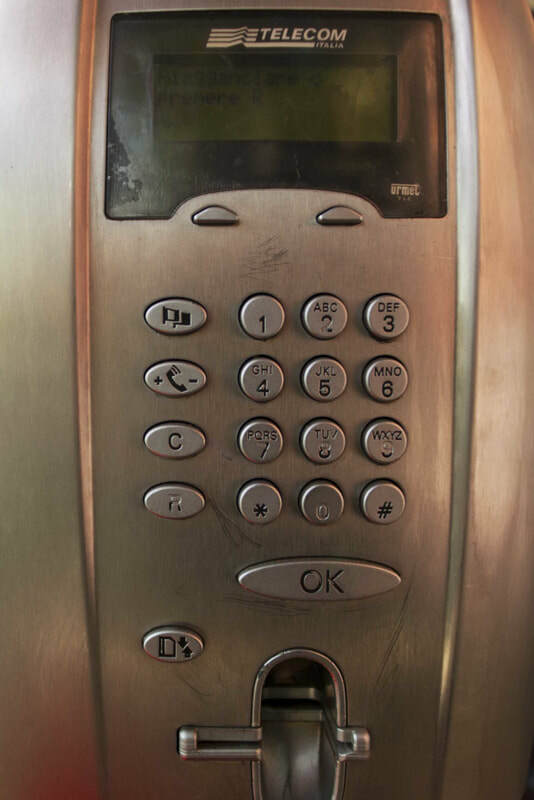 We are all terminally ill. 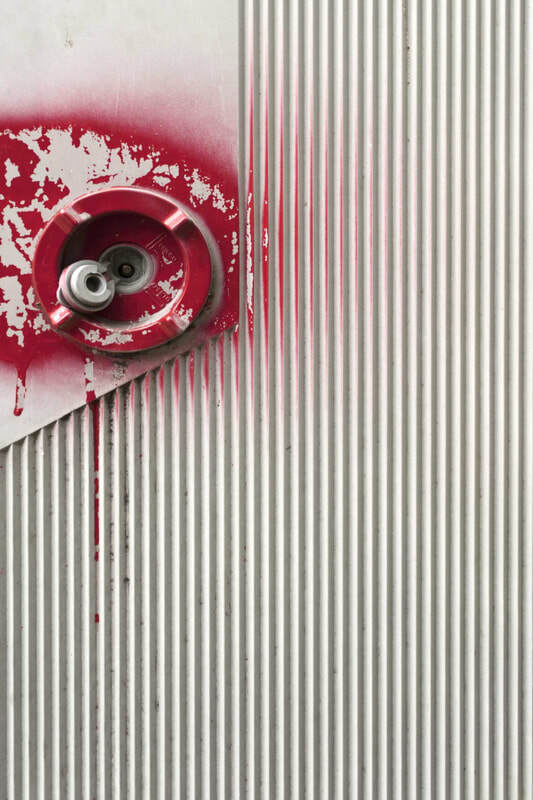 However, we forget to be on the the edge of death from the first moment of life.